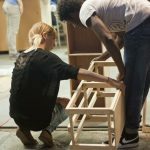 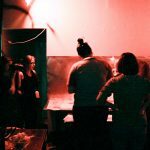 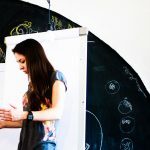 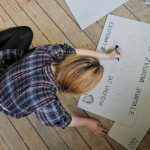 City-Guerilla is a creative lab and platform for young people with different educational backgrounds, interests, talents, abilities, life experiences and attitudes. 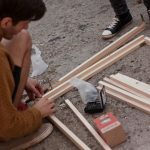 Synergy of these versatile factors forms specific creative space for applying various ideas in the fields of arts, culture and activism with the aim to make young people actively take part in shaping their own urban and social environment. 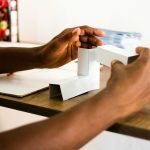 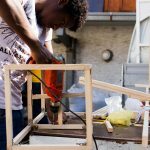 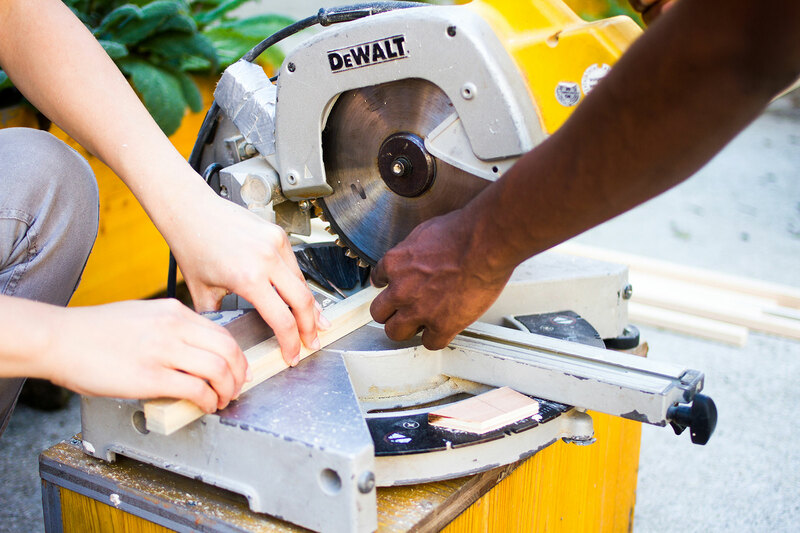 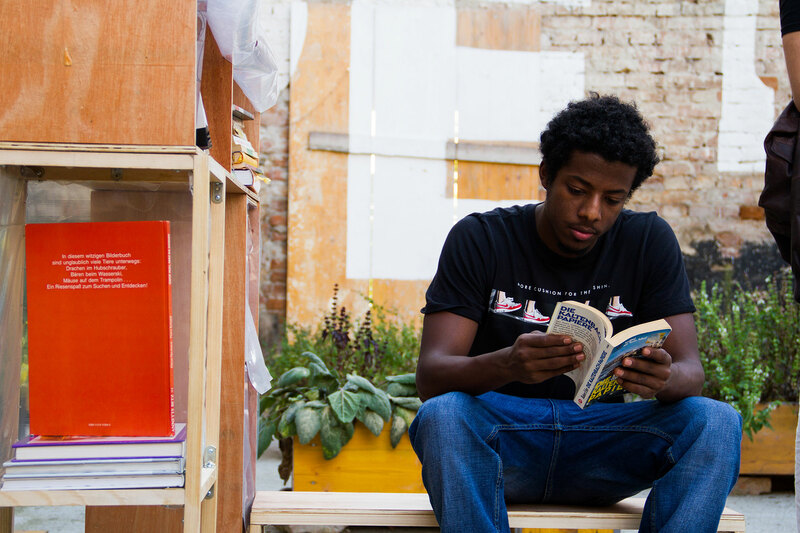 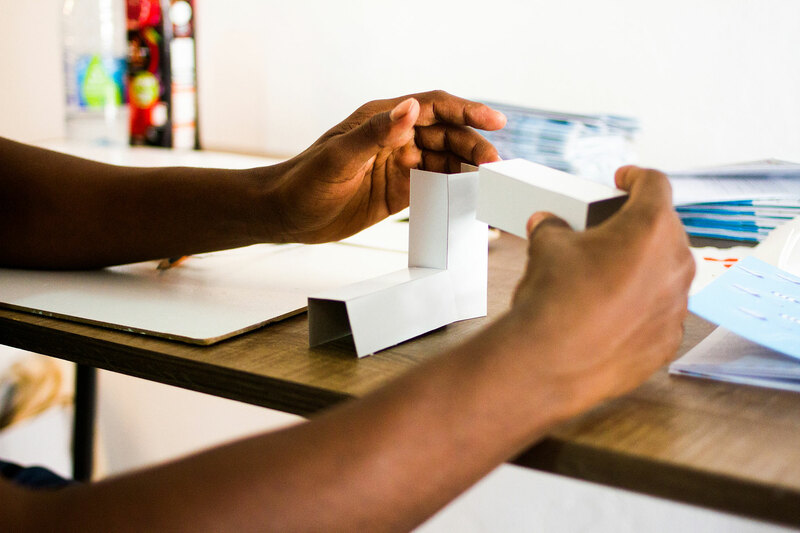 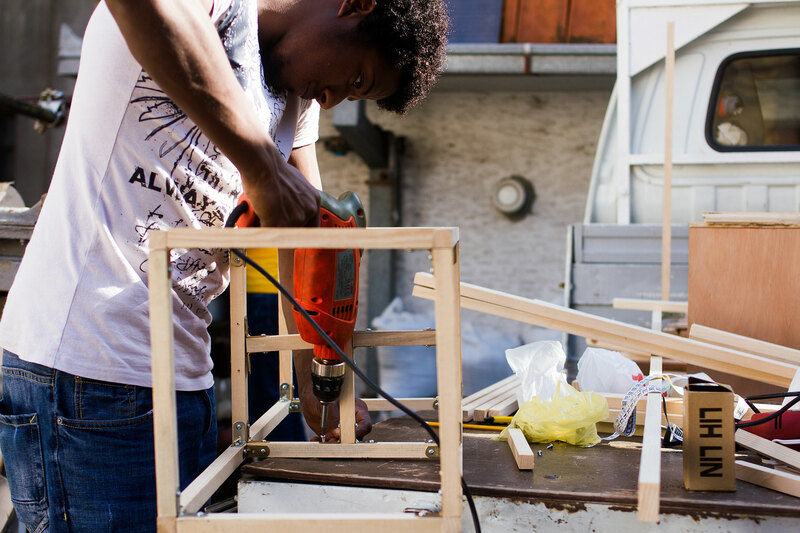 Urban Incubator is empowering youth by providing space, tools and logistics for young people to implement and experiment with different projects and to become active participants in social change and further cultural development. 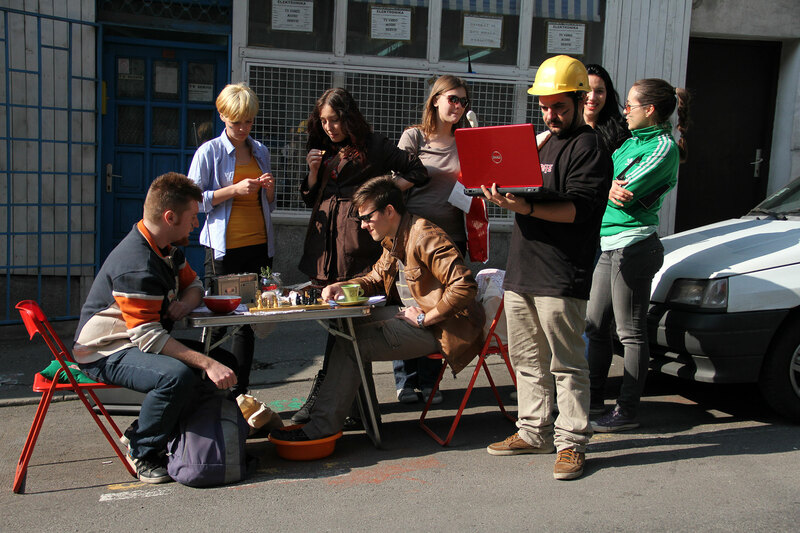 Since 2010 City Guerilla actively engaged more than hundred young people in various projects and numerous events. 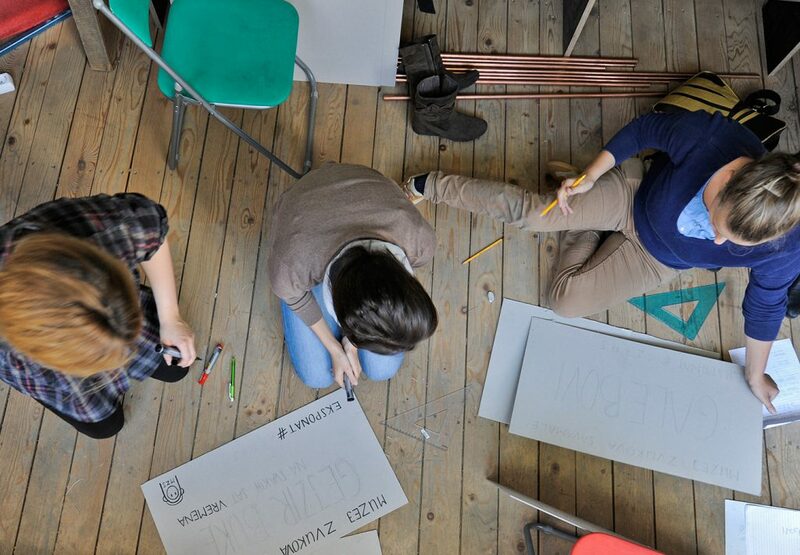 Therefore it stands for the most important youth partner organization. 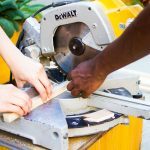 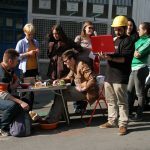 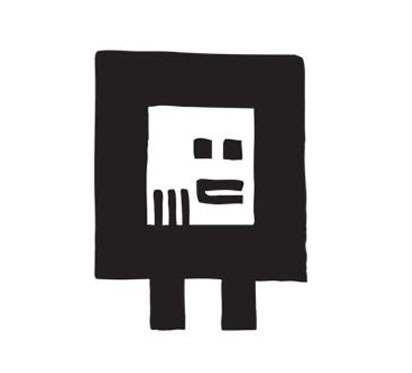 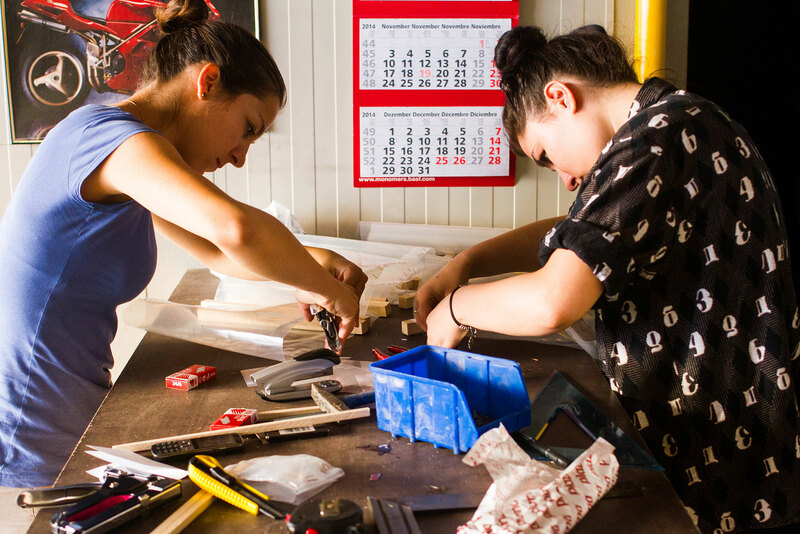 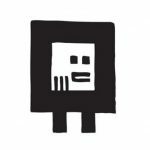 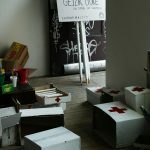 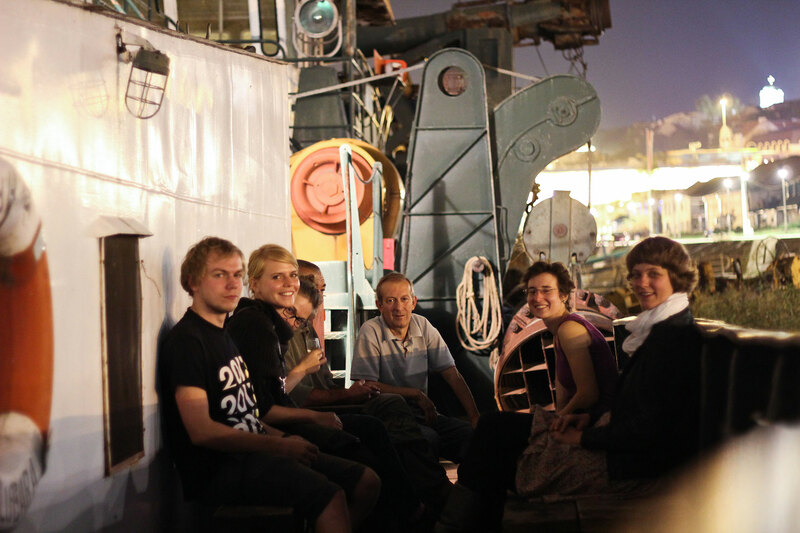 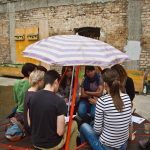 City Guerilla is a creative lab which rests on the following principles: self-organized youth, their creative association, peer education and alternative education, exchanging a wide range of skills, knowledge and ideas. 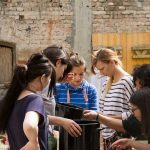 These young people have different educational backgrounds, interests, talents, abilities, life experience and attitudes. 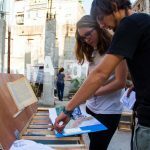 Synergy of these versatile factors forms specific creative space for applying various ideas in the fields of art and social activism with the aim to make young people take an active part in shaping their own urban environment and strengthen civil society. 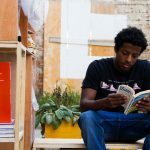 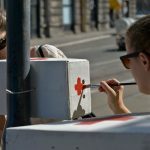 Originally created as a part of an Institution, City-Guerilla has become a well-known platform for individuals to express their creativity and enthusiasm in dealing with inconsistencies. 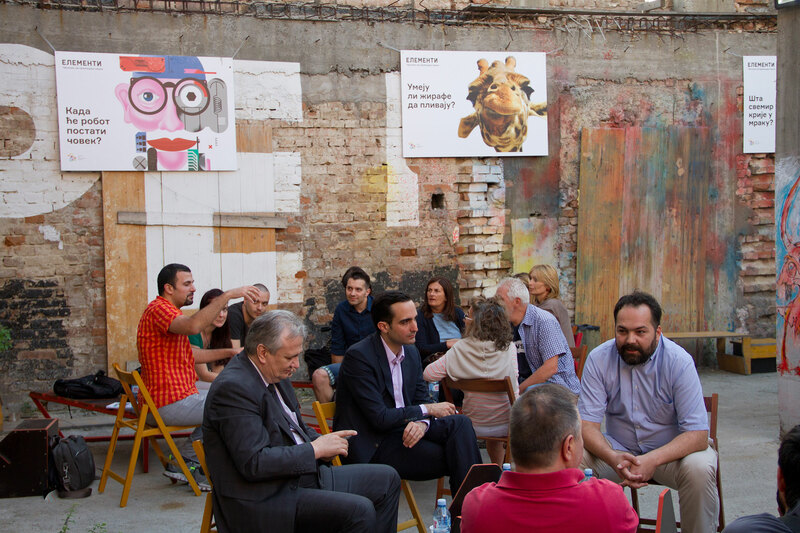 Being a member of the “Guerilla” group has become a strong connection point, generator of creative ideas and a synonym for activism, teamwork, creativity and open-minded approach. 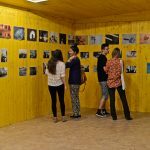 From 2014 till 2017 City-Guerilla had its permanent residency in KM8 Gallery and production space within the UI organization. 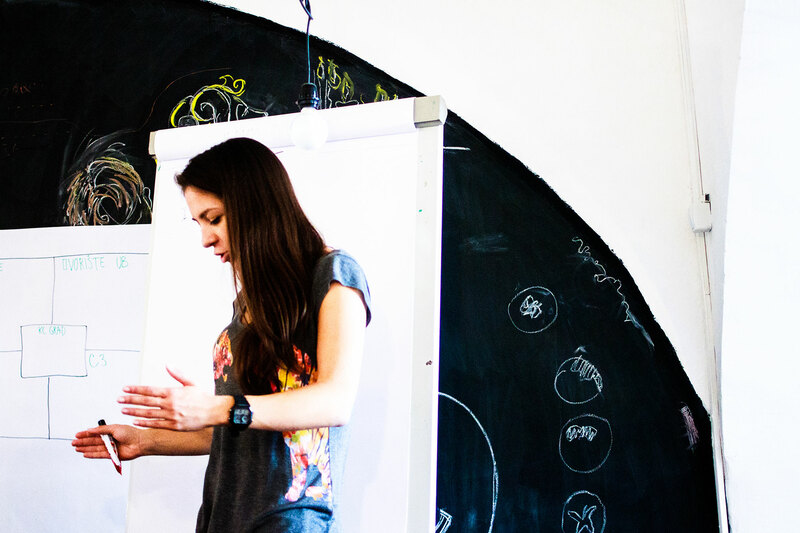 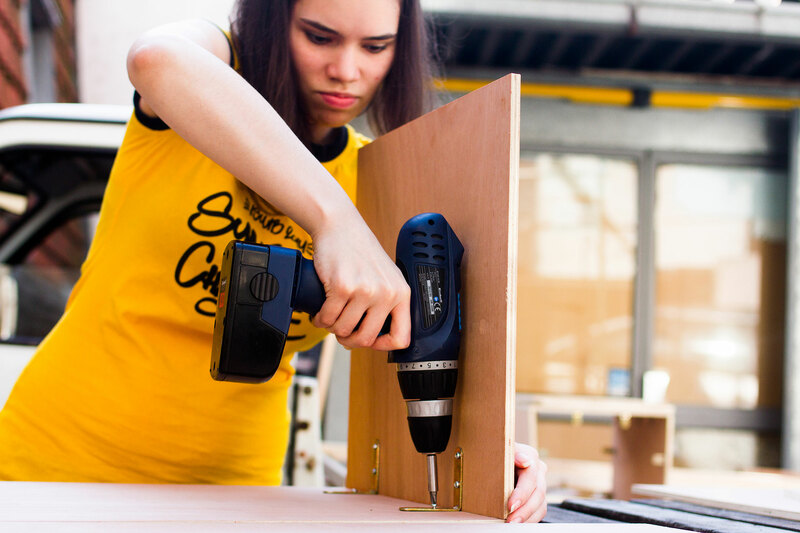 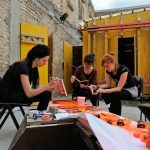 Through their enthusiasm, creativity, organized activities and events, alongside with other UI projects, City-Guerilla has actively contributed to creating a new socio-cultral hub and venue in Kraljevica Marka 8 – KM8. 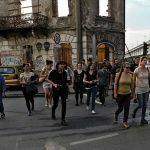 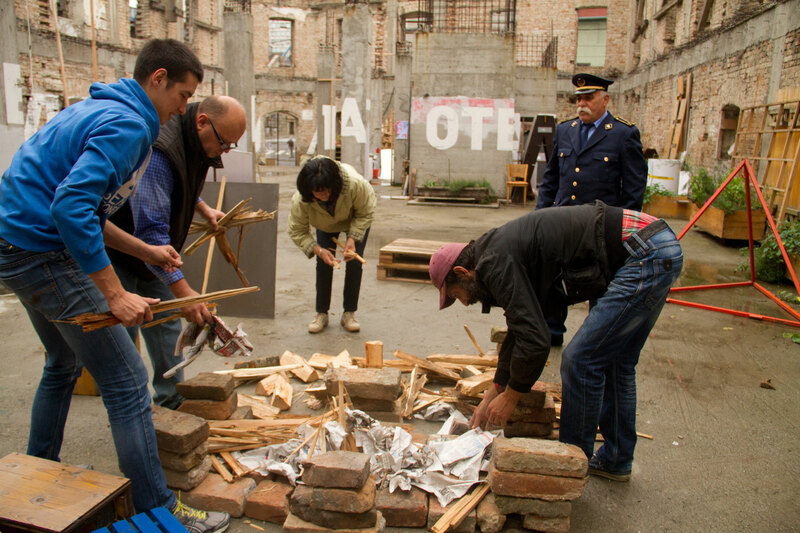 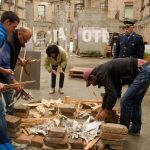 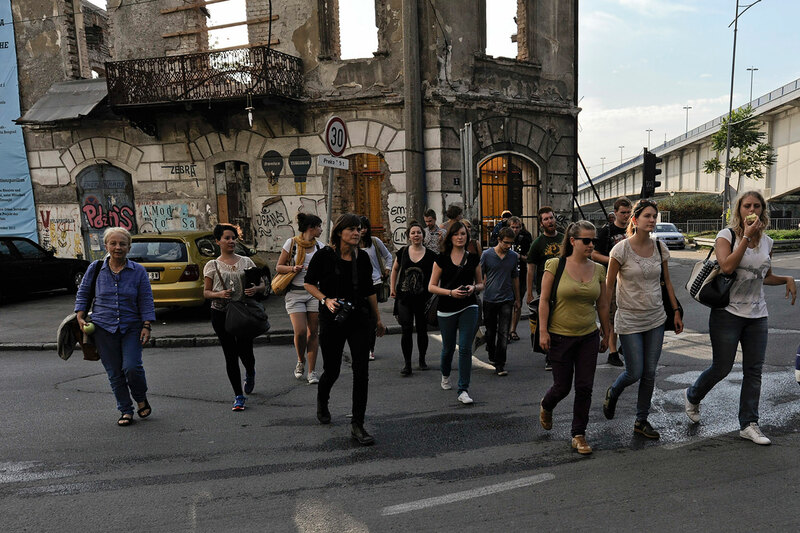 “How does the Spanish House sound?” – Goethe-Guerilla compose their own “Savamala Symphony” “The Shell” What was once a building, a warehouse and a customs office in Brace Krsmanovic street, just below Branko’s bridge, today is just a façade – “The Shell”. 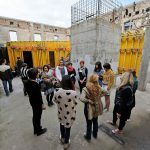 All which is left seems to be surreal: the walls, some modern concrete pillars, a slab of stone with armatures sticking out. 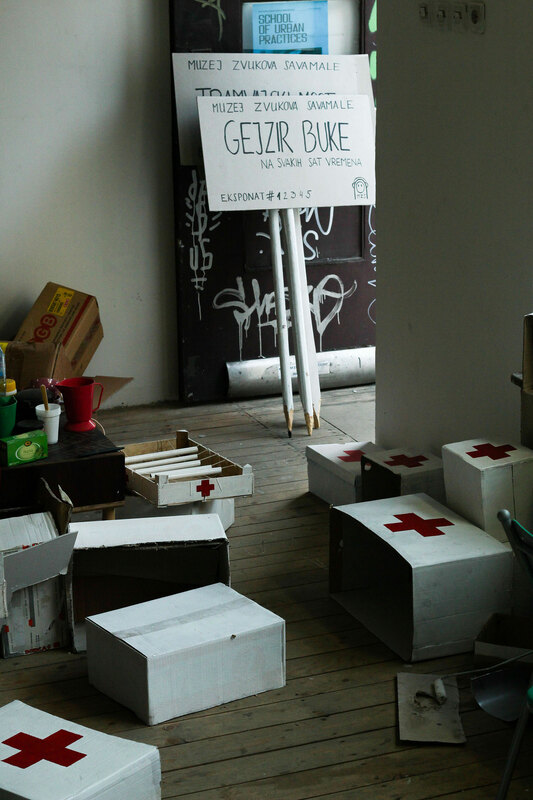 But there was this amazing echo spreading around the abandoned basement which caught the Guerillas´ attention first. 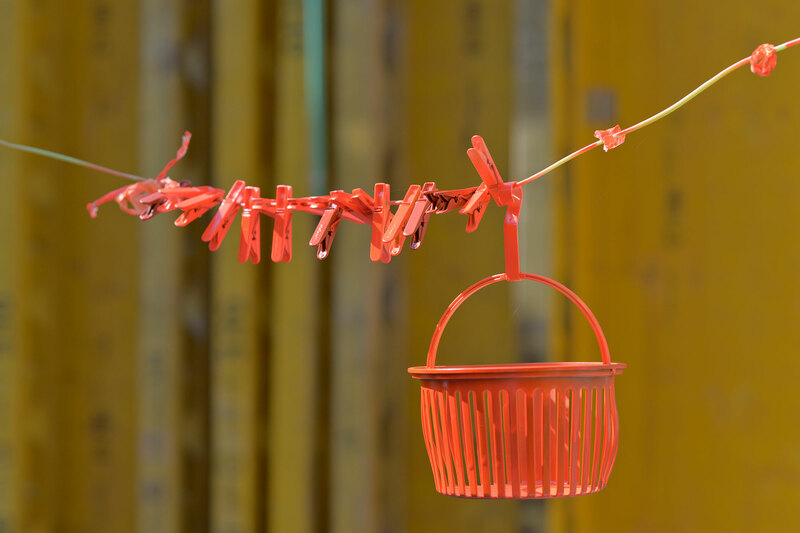 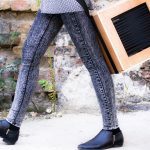 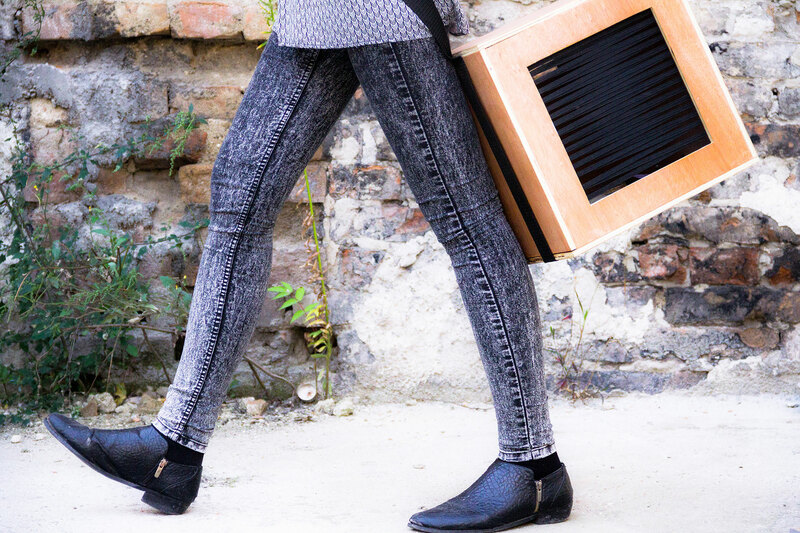 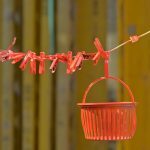 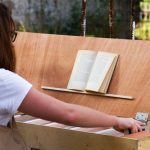 Metal rods, rocks, plastic bottles and their own voices – this sound material found on site inspired them to collect and produce all kinds of sounds and melodies and to further explore the acoustics of the place. 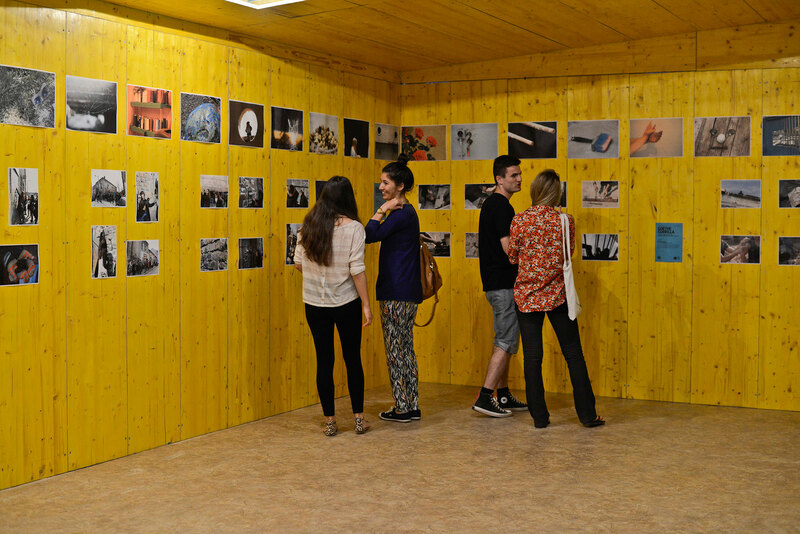 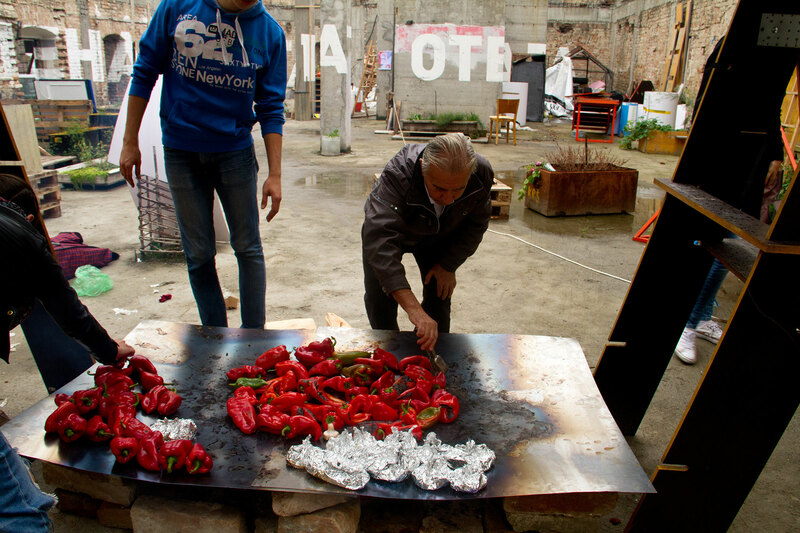 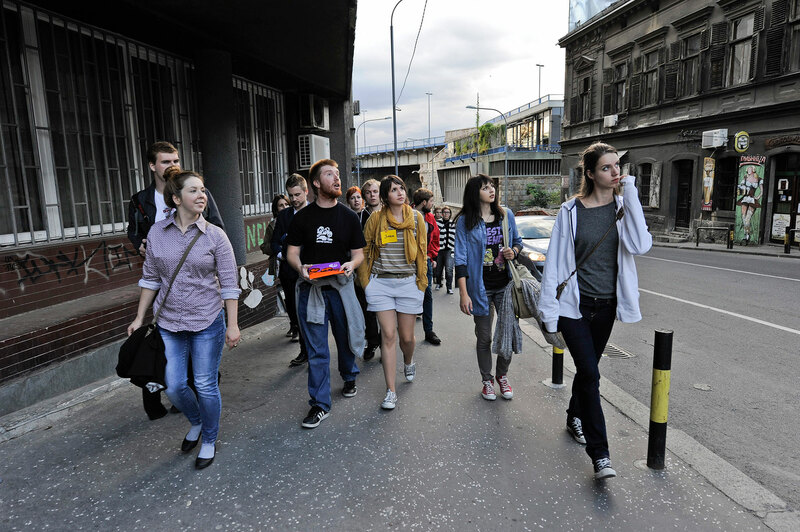 EU programme “Youth in Action”, Cultural Incubator Savamala (September 21-27, 2013) Within the framework of the EU programme “Youth in Action”, students and members of the GoetheGuerilla from Bosnia and Herzegovina, Germany, Hungary, Lithuania and Serbia focused on the creative actions and interventions. 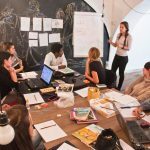 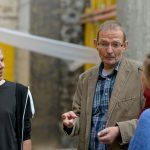 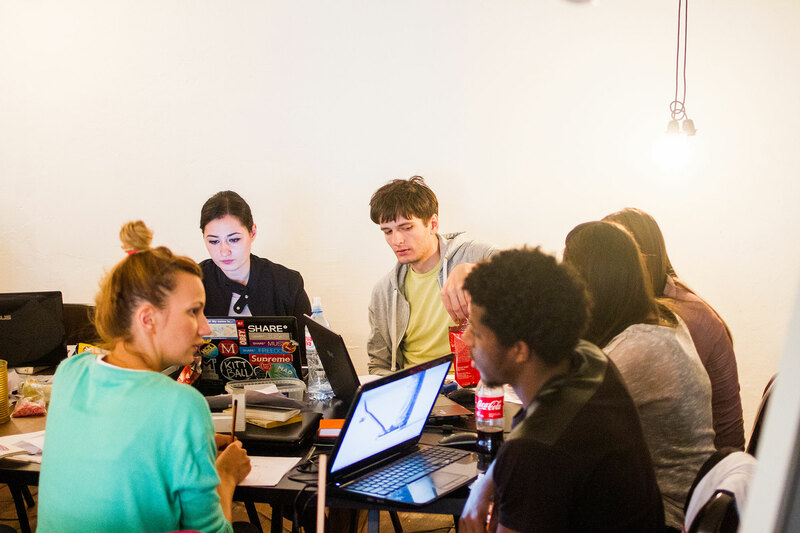 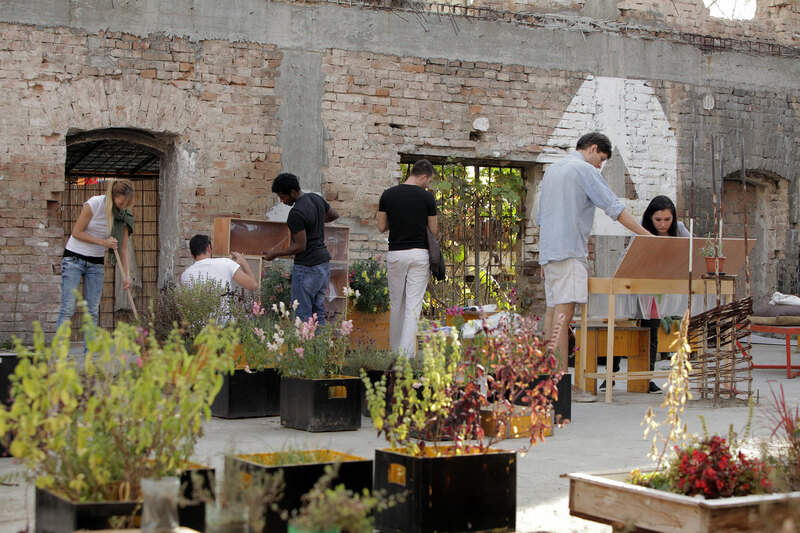 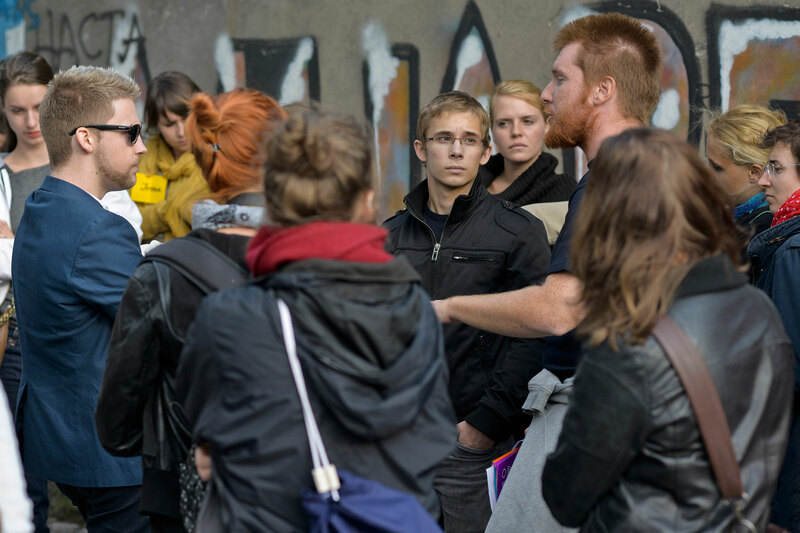 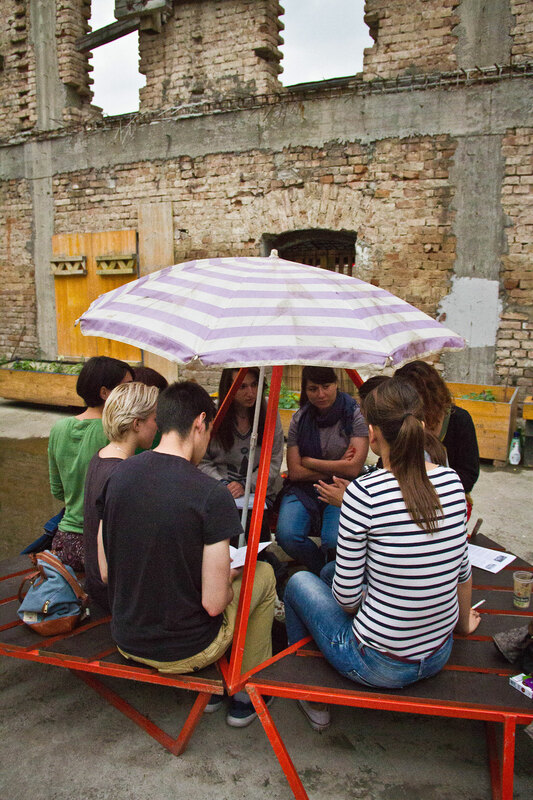 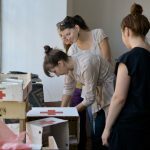 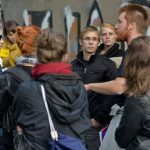 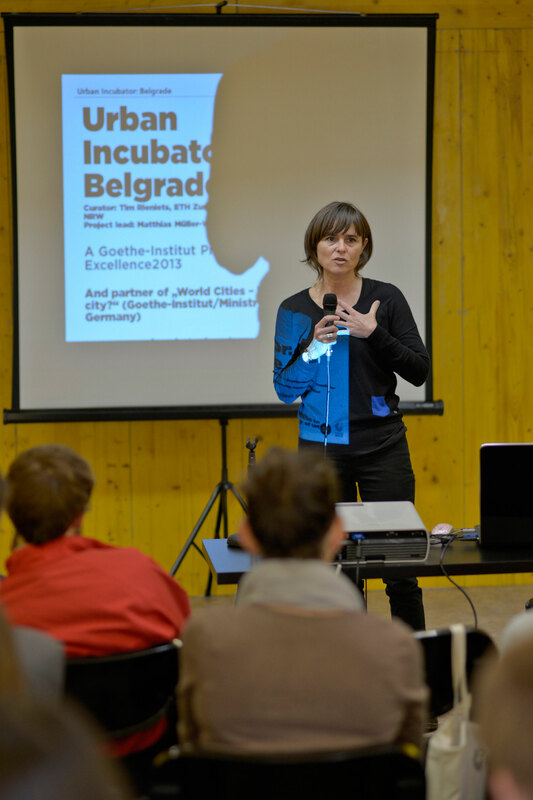 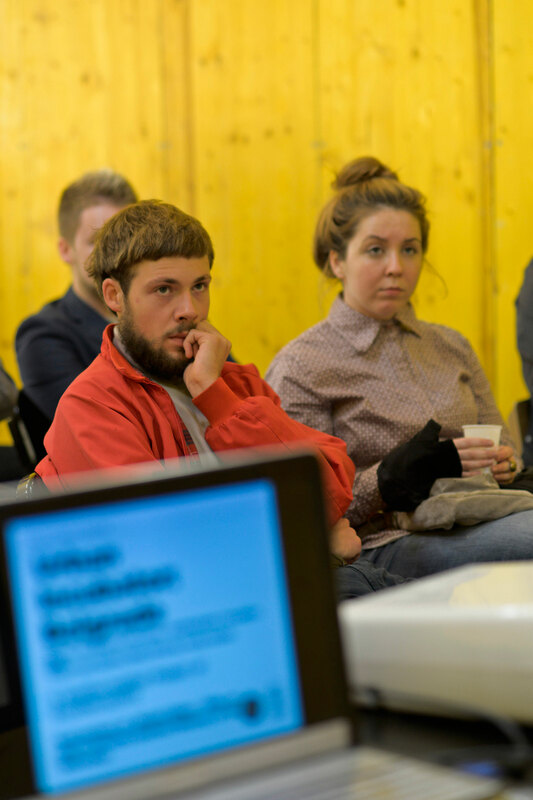 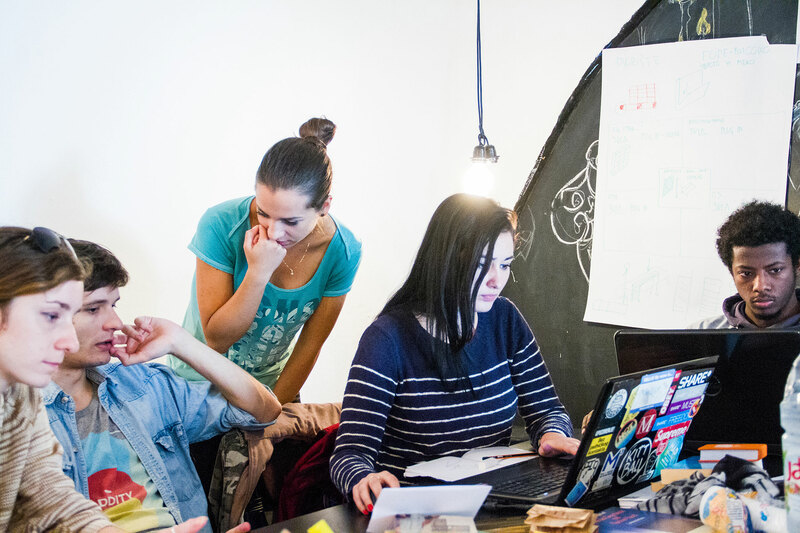 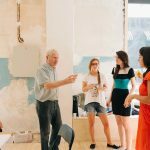 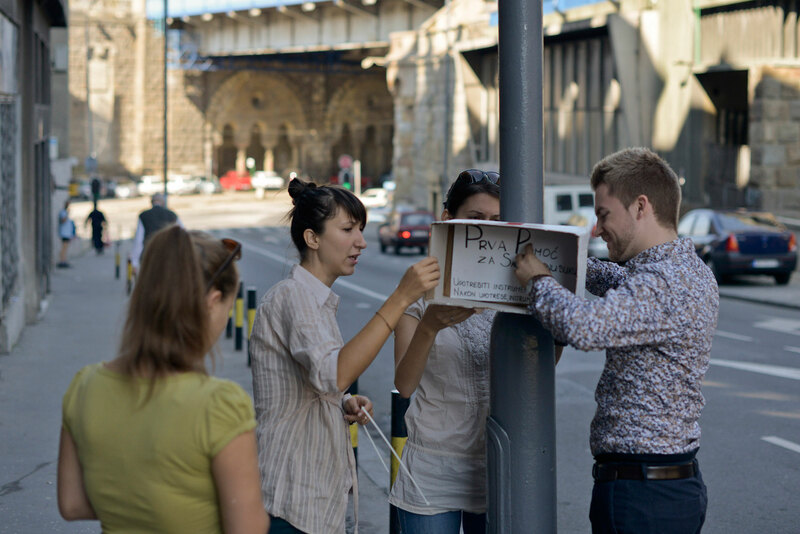 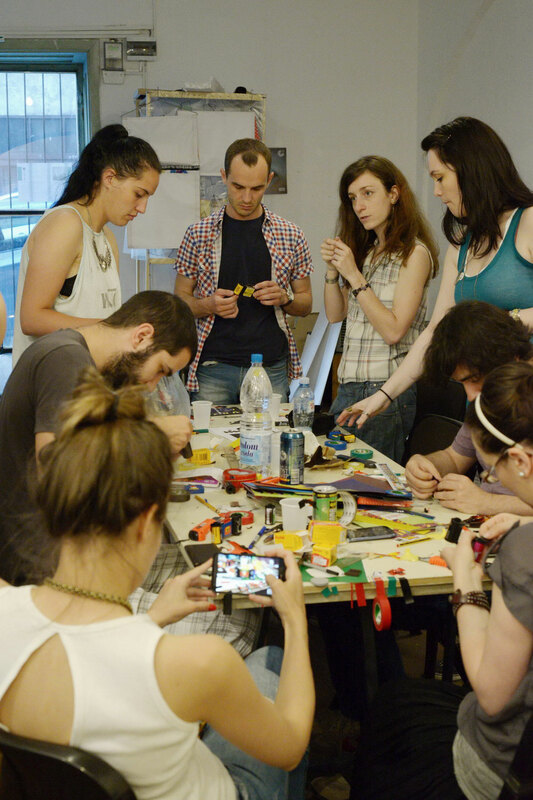 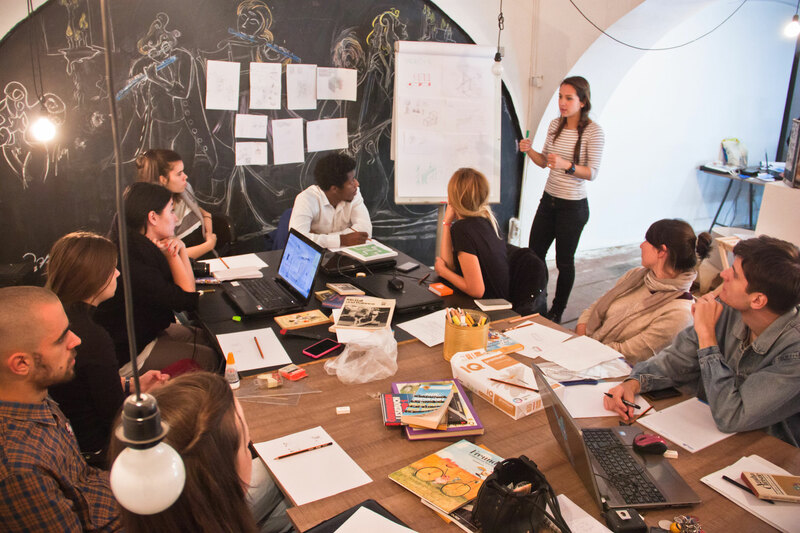 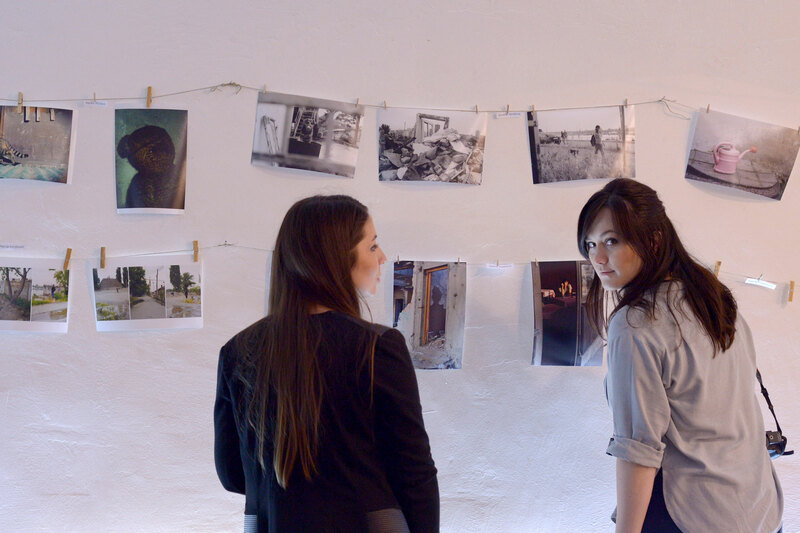 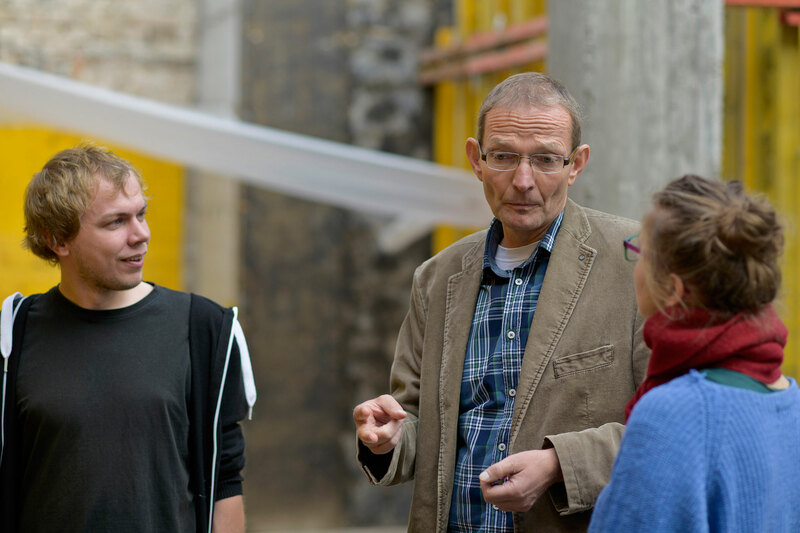 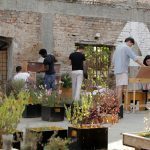 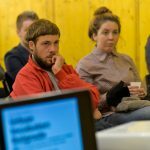 Aiming at the revitalising of this rather neglected Belgrade neighbourhood, 25 young and motivated workshop participants from five different cities – Belgrade, Vilnius, Sarajevo, Chemnitz and Budapest – came together to discuss problems, developments and future opportunities. 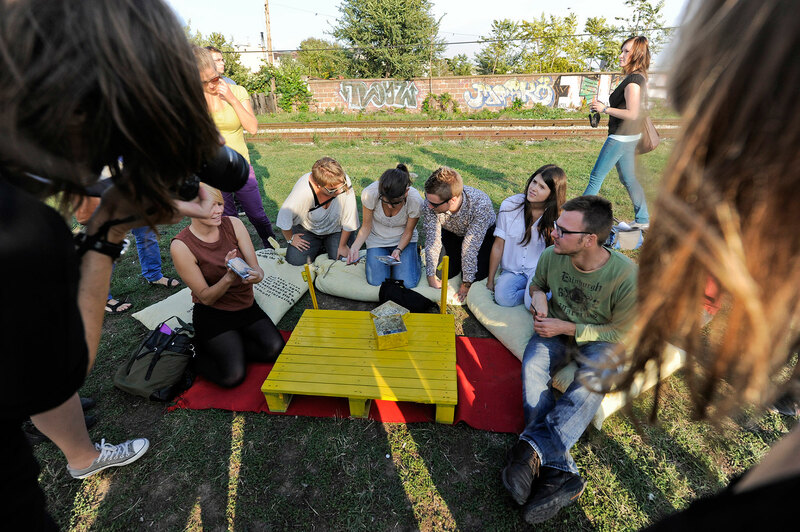 The participants took Savamala and the project “Urban Incubator: Belgrade” as a model for discussing questions and issues that are relevant and specific to the future of the cities from which they came, and, through the exchange of ideas, they identified similarities and differences and improved their own perspectives for joint creative interaction. 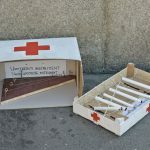 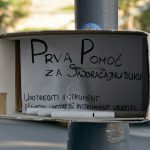 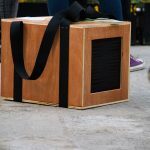 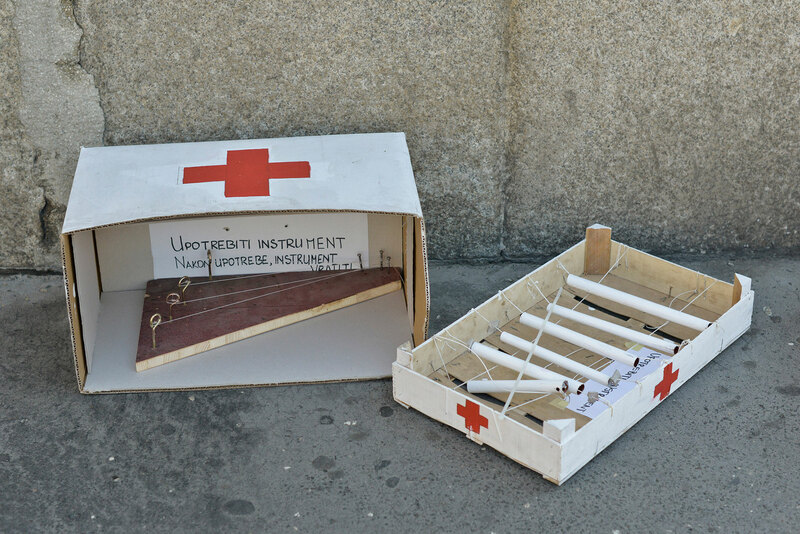 Self-made music instruments and first aid kits against traffic noise, an open-air “living room” at the River bank for a warm ambience at exceptional places – within six days, the “Youth in Action”-group developed their own creative ideas resulting in various, multi-faceted projects. 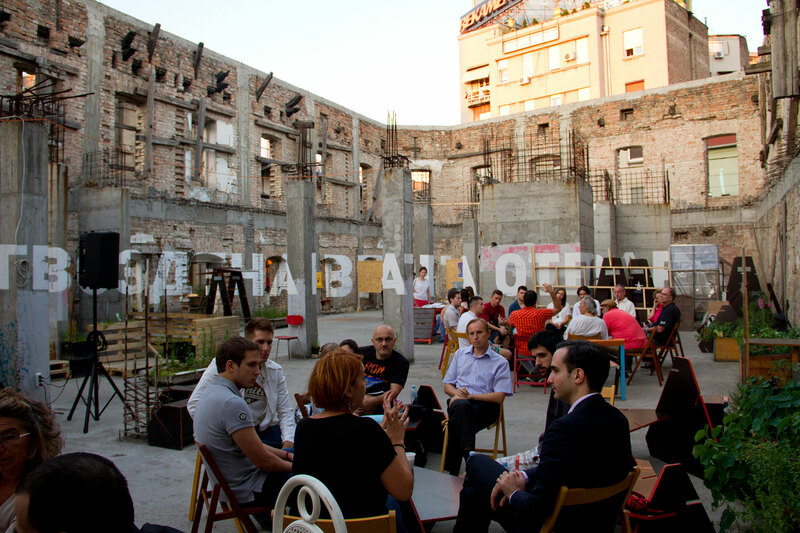 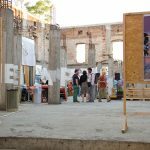 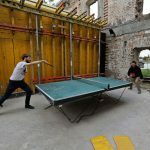 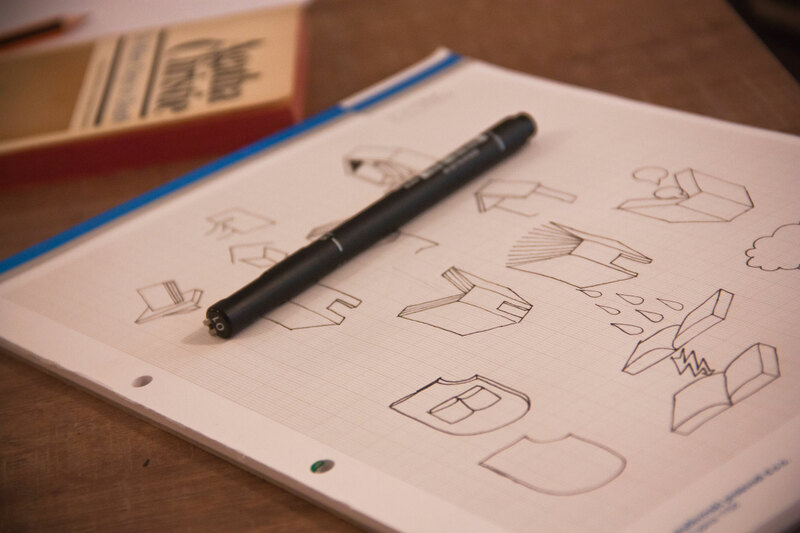 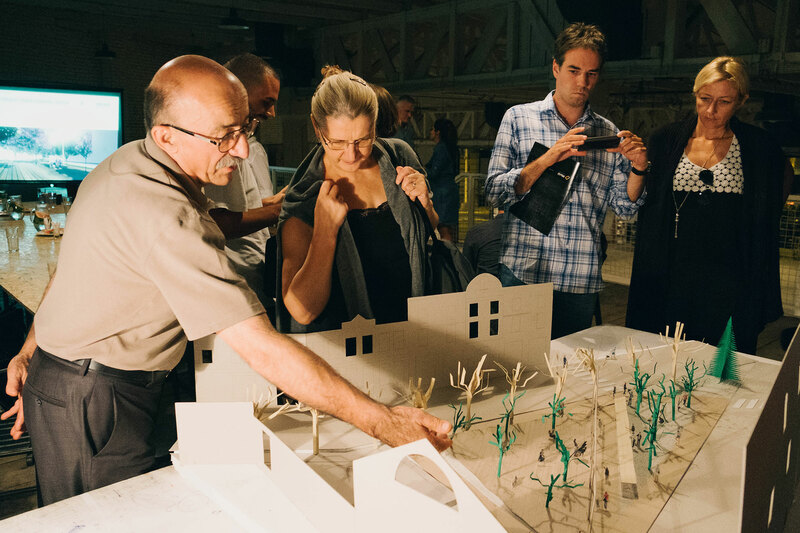 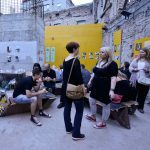 All of these ideas highlighted the hidden potential of Savamala and even engaged some of the residents and raised the awareness of the many different facets a city quarter has. 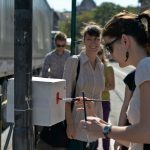 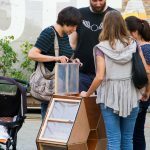 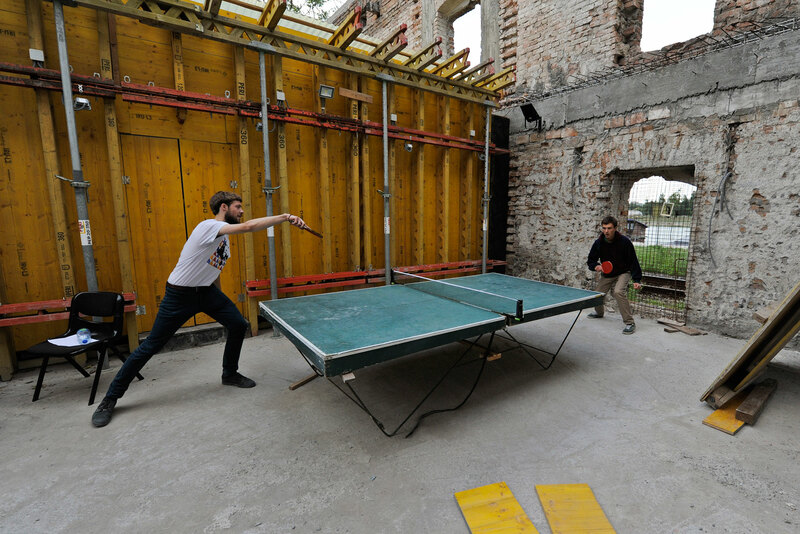 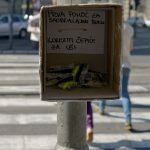 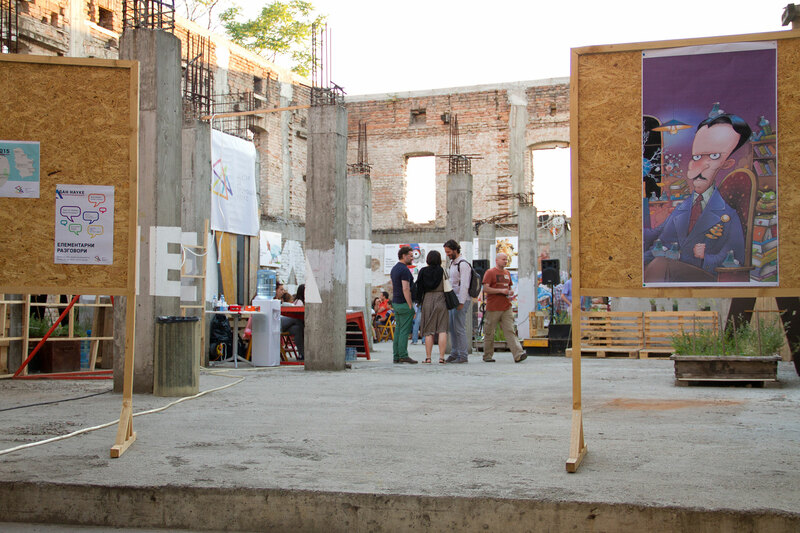 A “Museum of Sounds”, signposting for small “Exhibitions”, or creating an “outdoor home” – small actions only brought home very impressively the idea that “a sense of home” can be developed everywhere, and that seems to be especially important in a neglected city district such as Savamala. 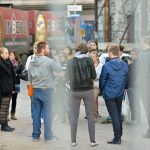 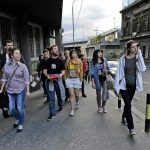 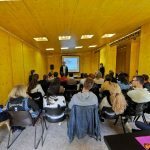 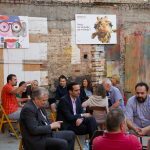 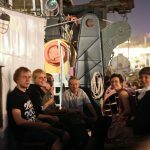 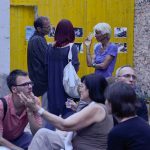 Exchange of knowledge among local connoisseurs and young people, who in this city quarter meet for the first time, became an important starting point, both for future joint activities in Savamala, and for new perspectives of Belgrade CG´s future activities. 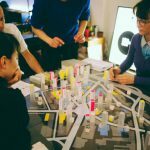 A Few Minutes of Architecture (ParMinuta) – Over 10 interviewed architects, a database of high-quality video-interviews, website platform for distributing the material along with other written material gathered during the project and a valuable network of communication. 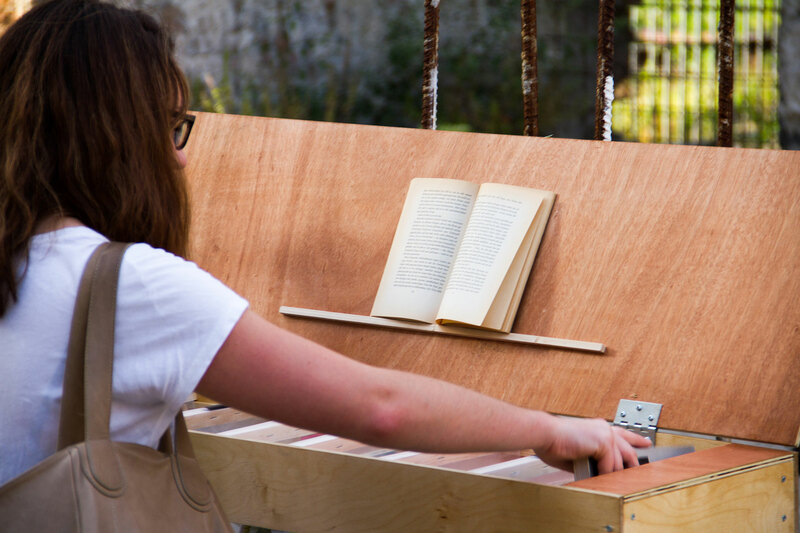 Mobile Libraries Workshop – A successful workshop where seven small mobile libraries were made, along with a printed manual: Toolkit with design details are available online. 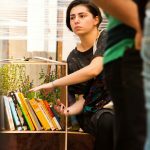 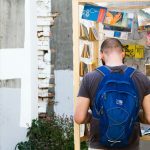 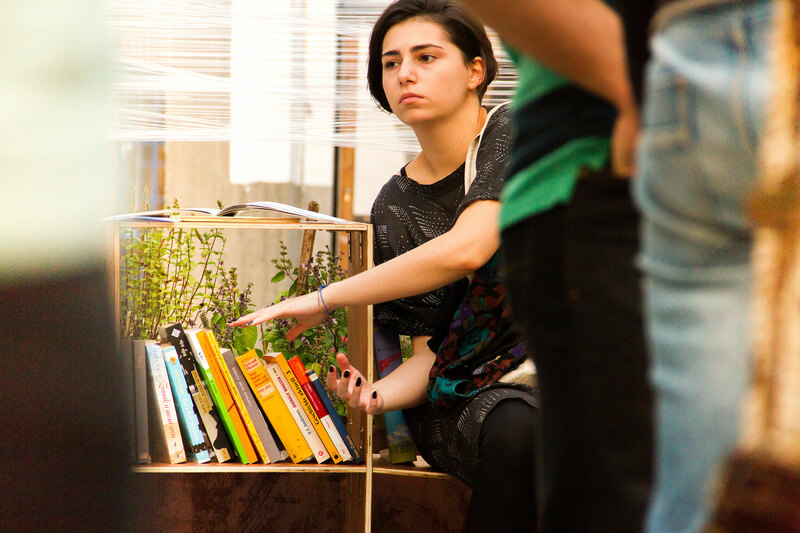 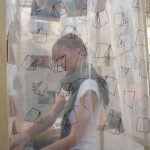 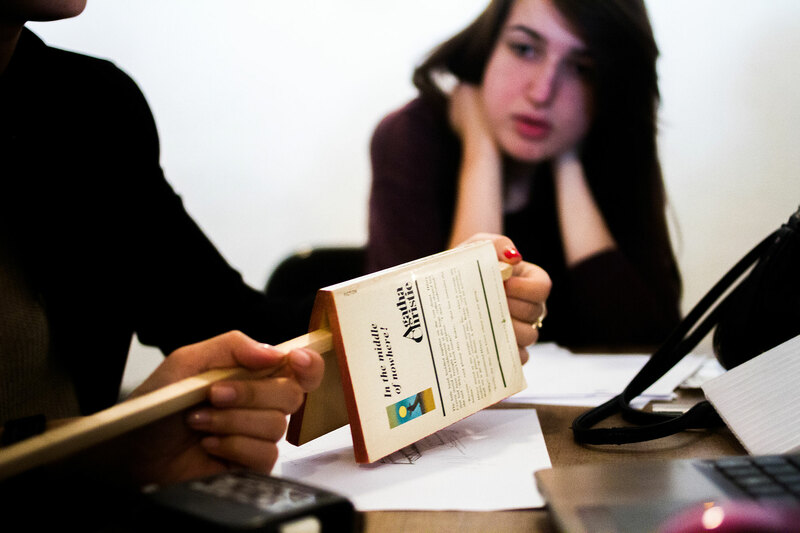 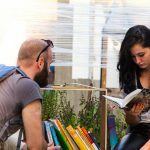 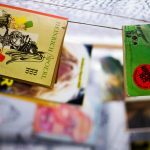 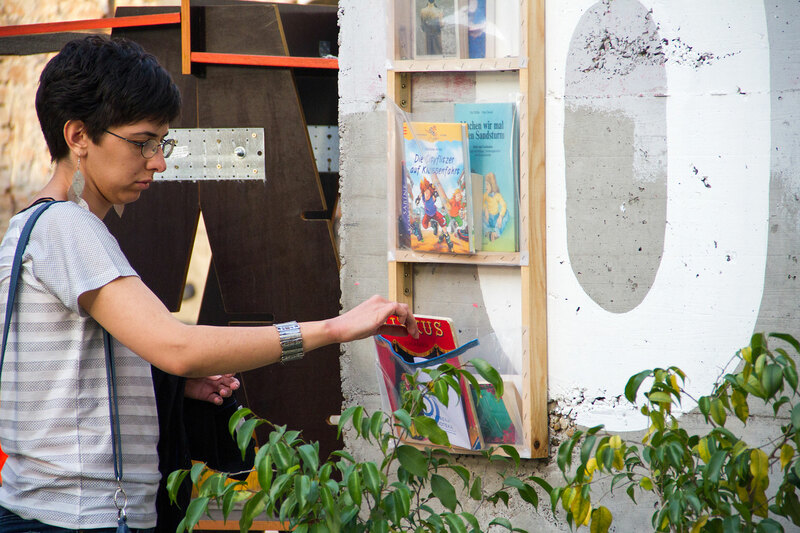 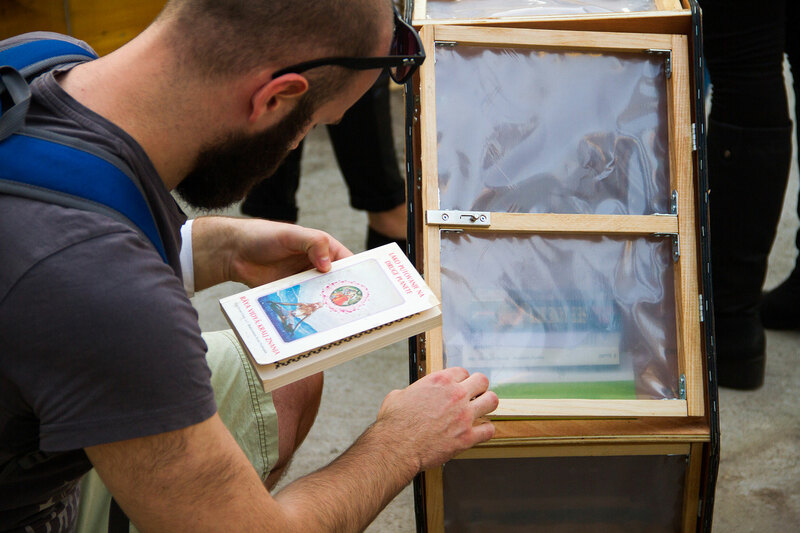 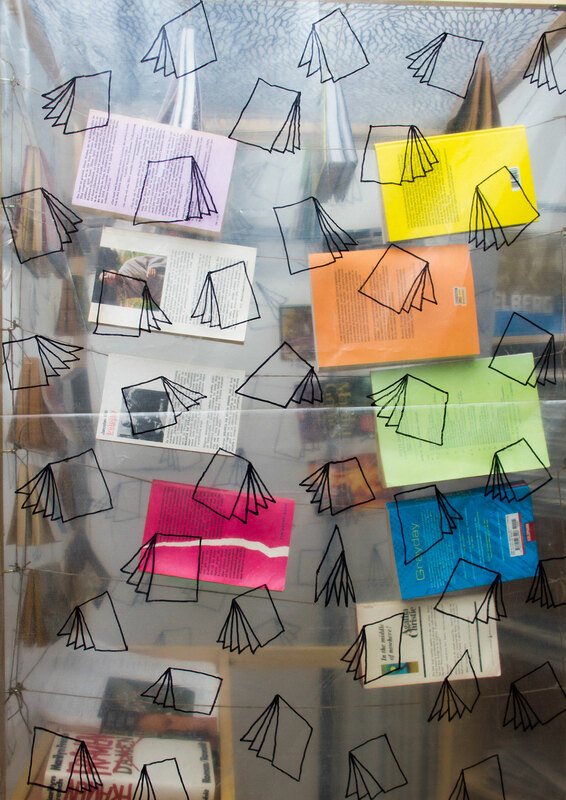 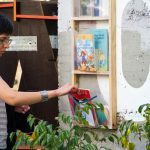 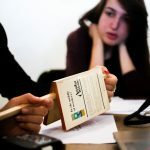 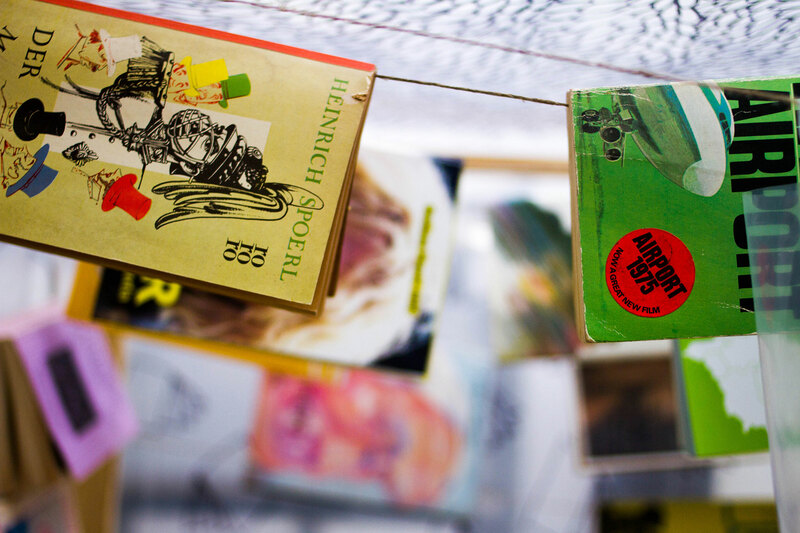 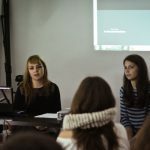 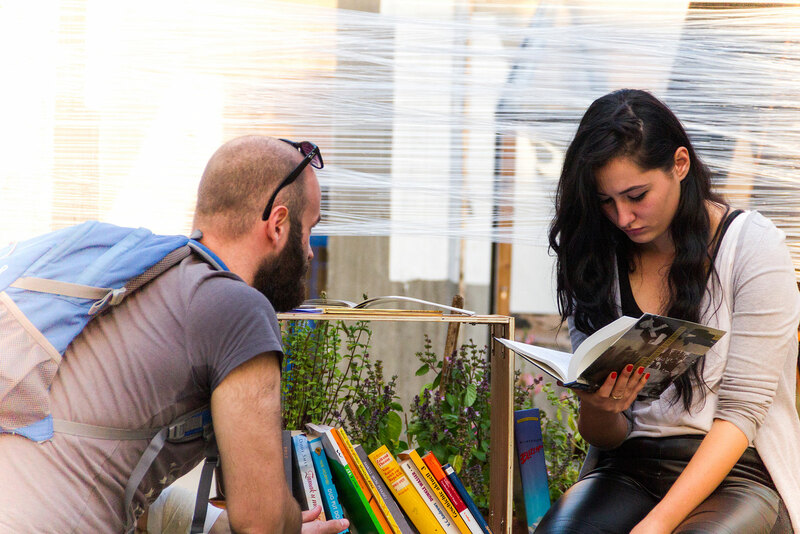 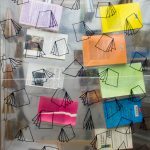 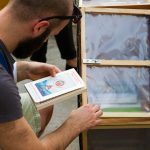 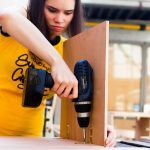 The participants had an insight in product-design, the idea of free book exchange expanded significantly and the whole idea was presented at the Belgrade Book Fair. 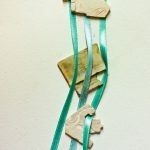 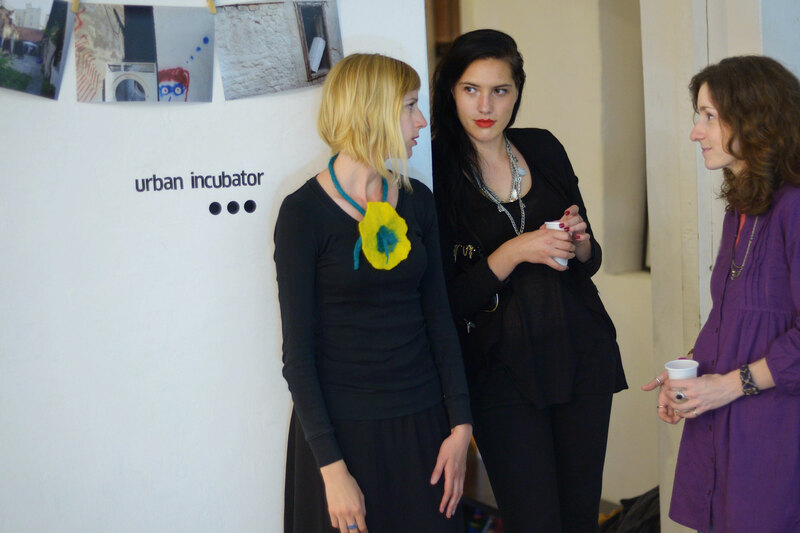 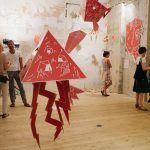 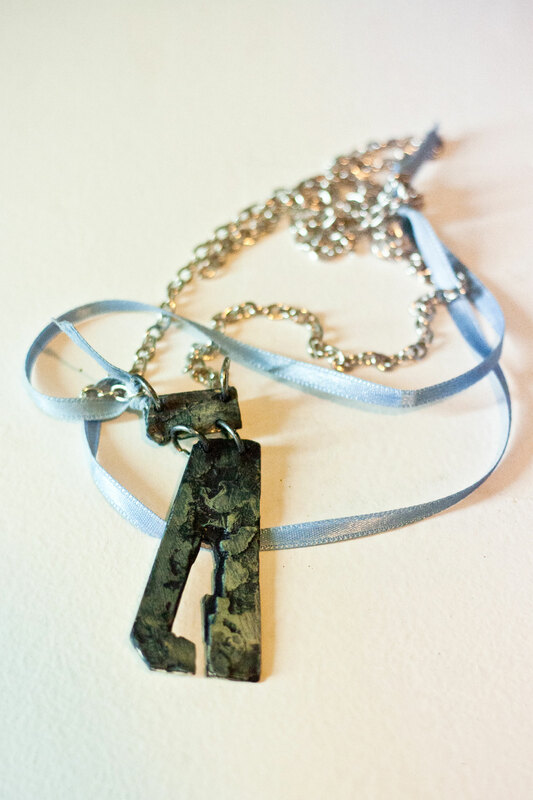 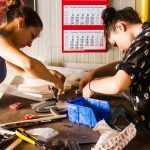 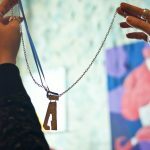 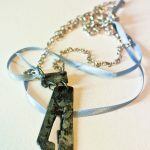 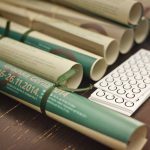 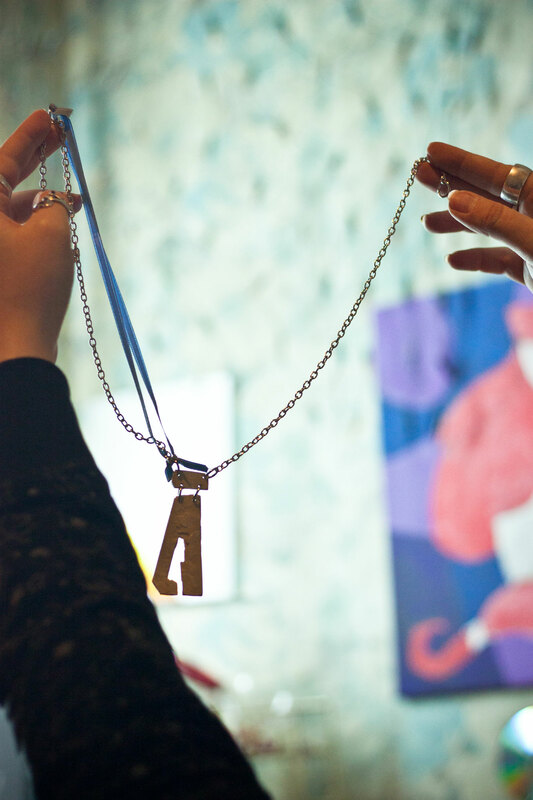 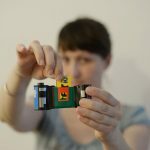 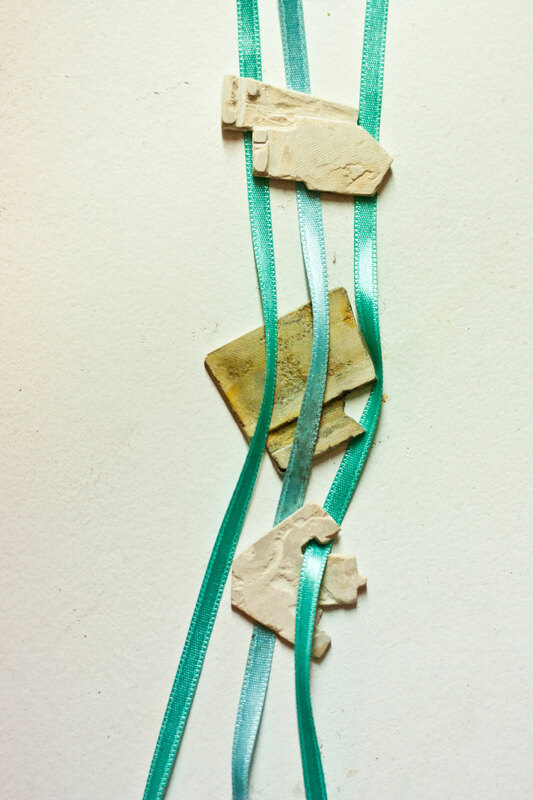 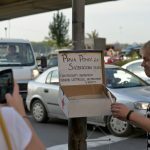 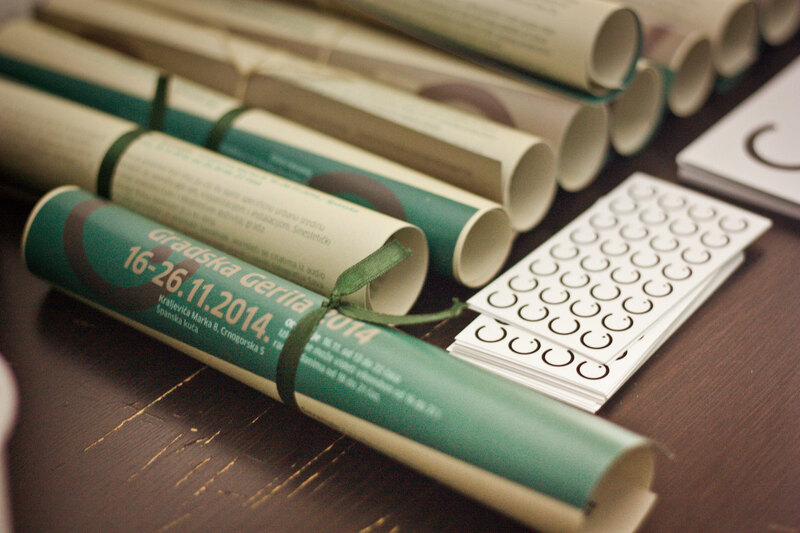 Savamala Map Jewelry – Unique souvenir-jewelry peace’s made of memories have been presented at the annual City-Guerilla exhibition. 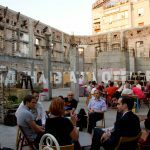 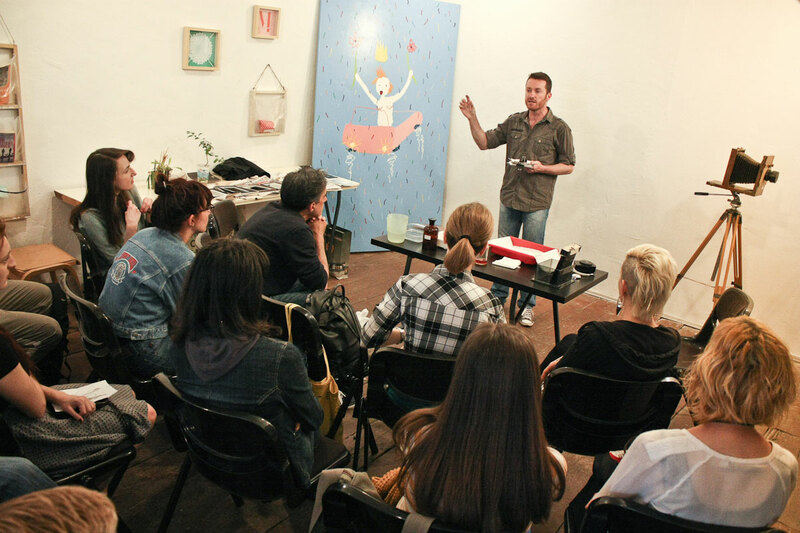 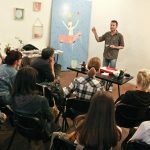 A workshop, which become a valuable inspirational point for the author, with insights of Savamala residents remembering the spirit and places of their old city quarter. 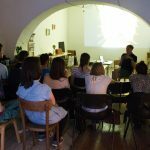 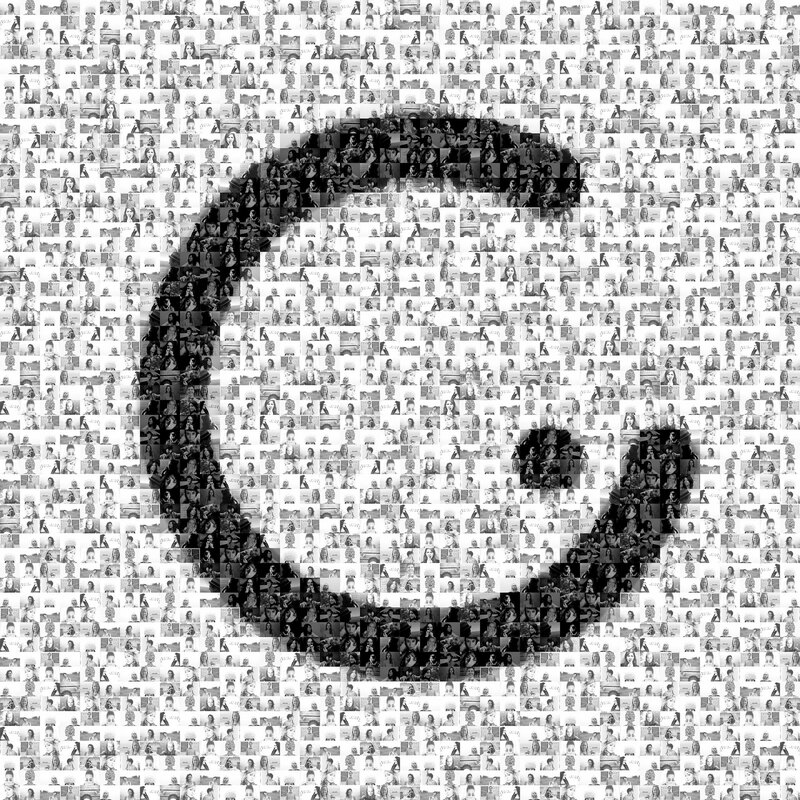 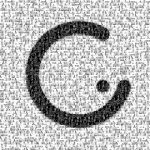 CG dialogues represent a series of lectures and discussions in the field of culture and arts aiming to educate, raise awareness about the importance of non-formal education, share experience and knowledge and develop critical thinking among young people. 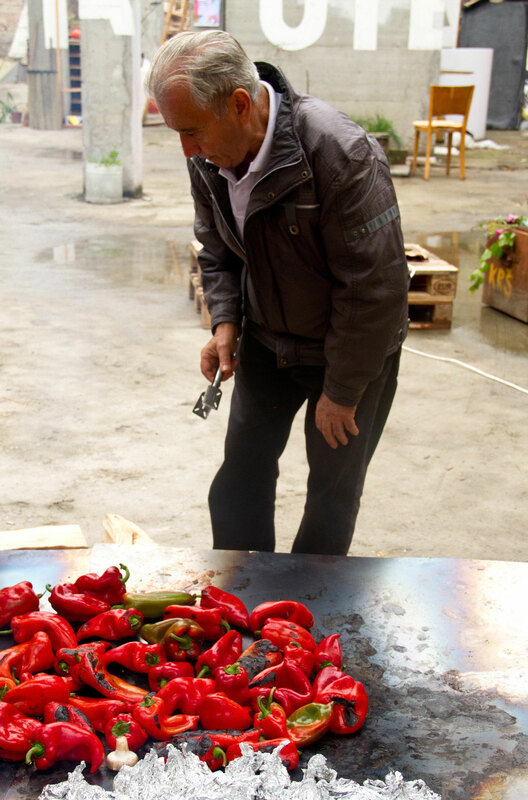 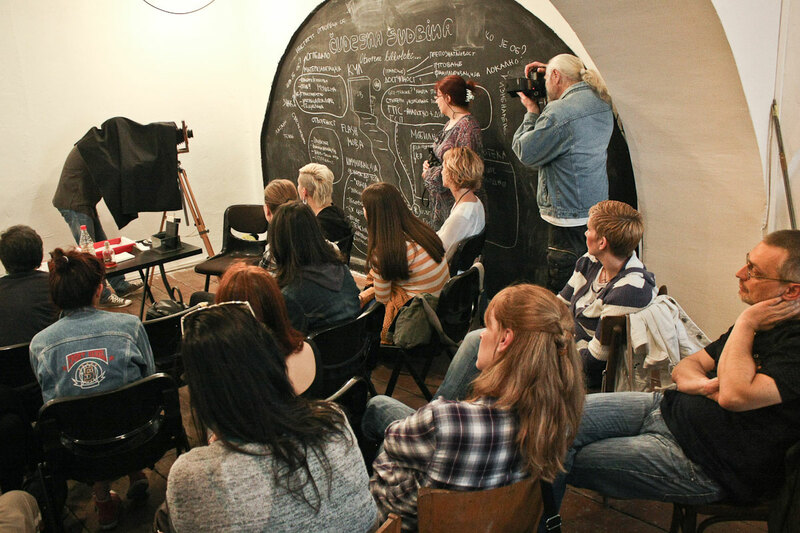 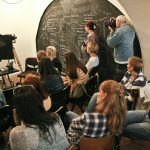 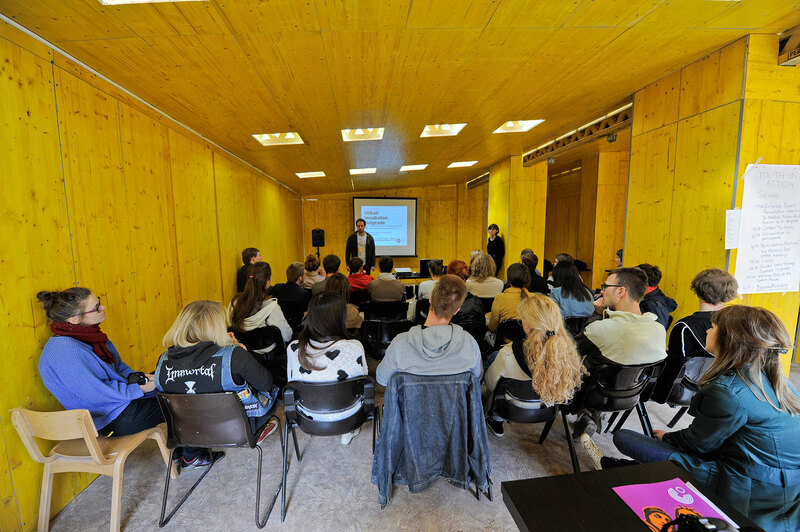 Lectures and talks by experts from home and abroad are held several times a month in Kraljevica Marka 8. 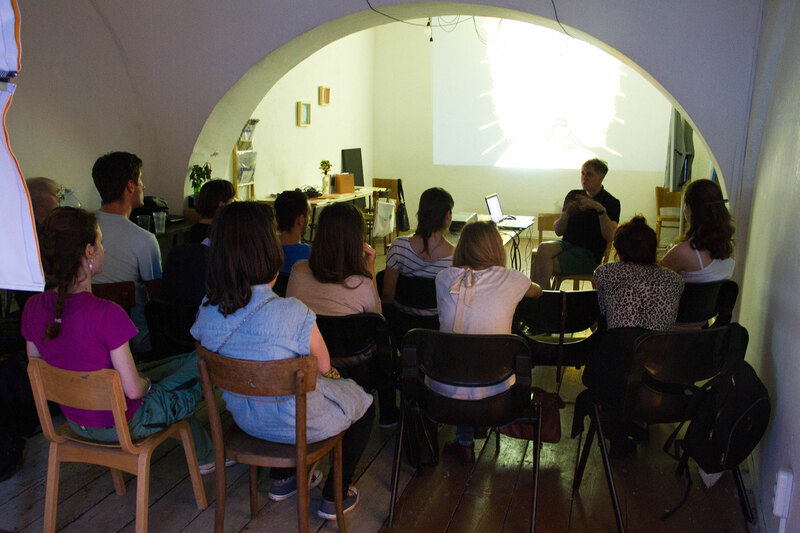 CG dialogues have included talks with architect Milena Ivkovic (Savamala the Game project); Swedish architects Oyuki Matsumoto, Christian Svensson and Jack Dahl (STLPN maker space project); School of Urban Practices (Open libraries project); Aleksandar Zograf on topic of future of comics; artist duo from Brazil, Claudia Cardenas and Rafael Schlichting (Stranglescope) from film laboratory Cinema Tribe; programmer Valerija Spasojevic regarding robotics and entrepreneurship. 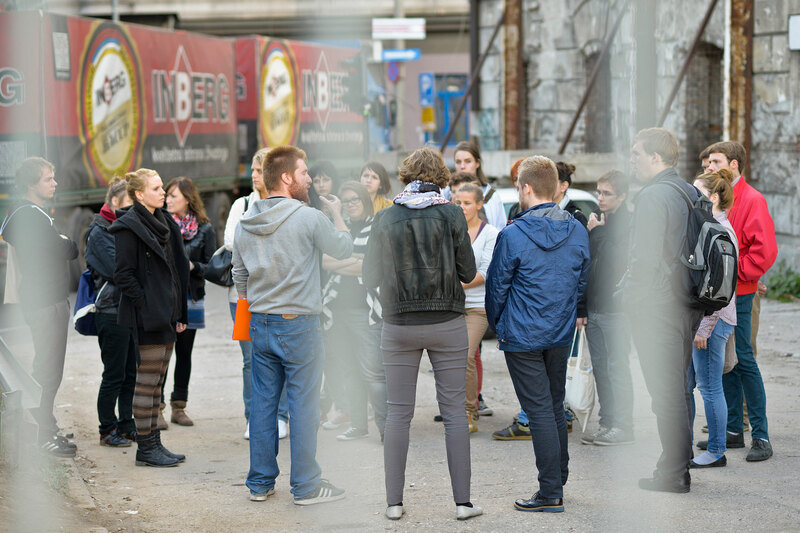 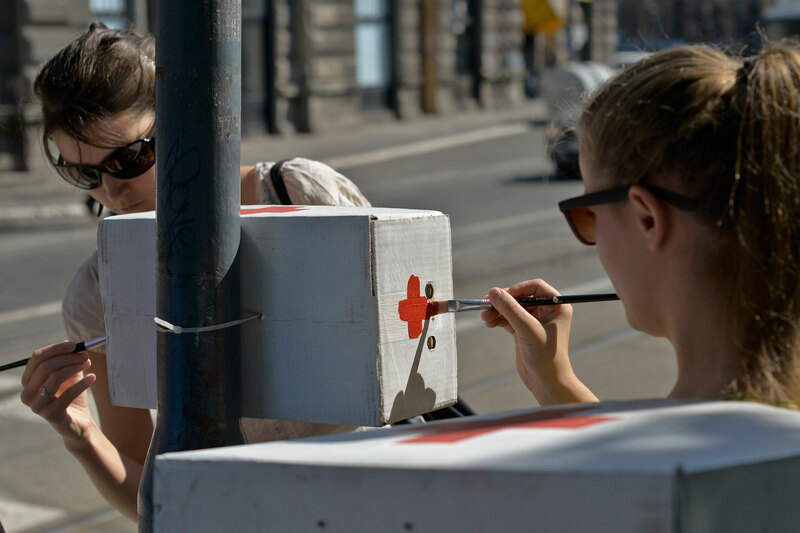 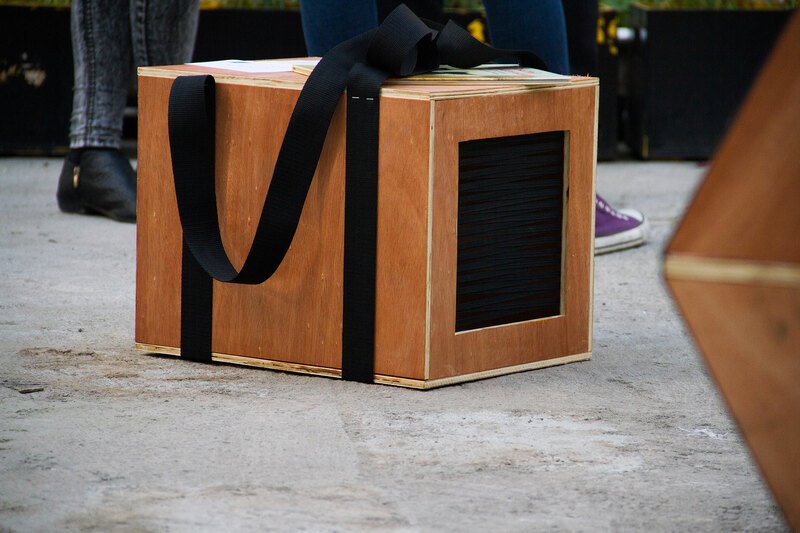 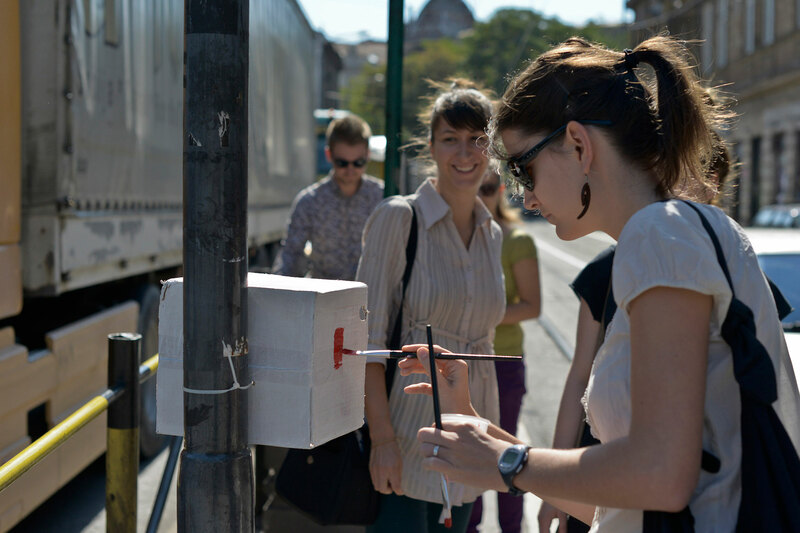 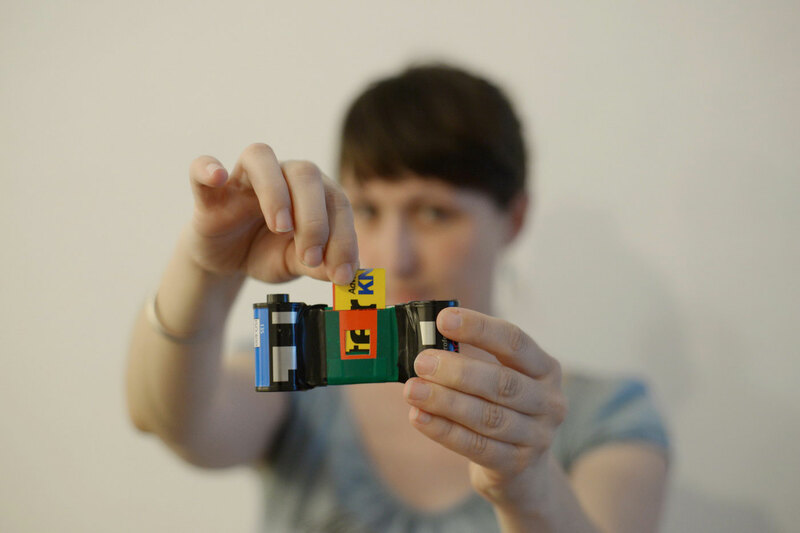 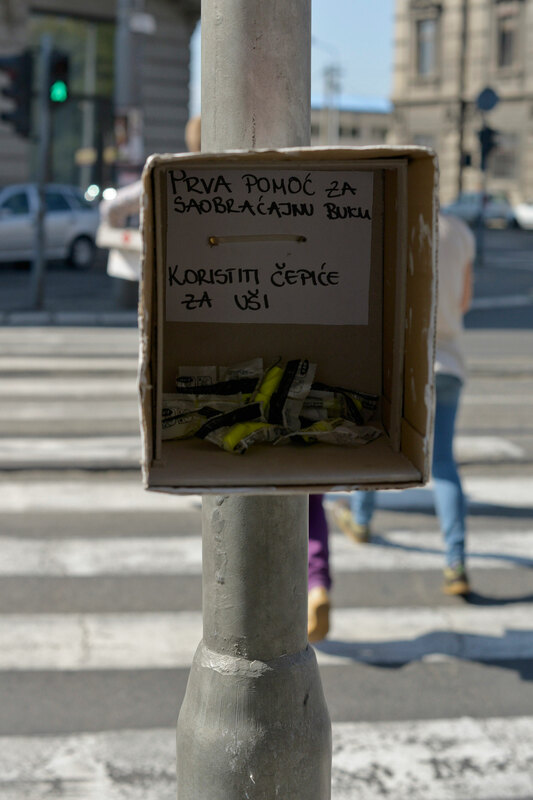 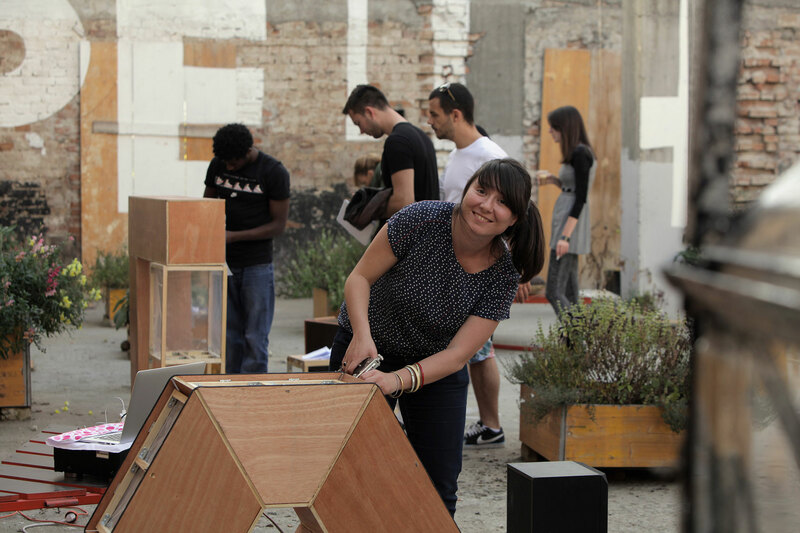 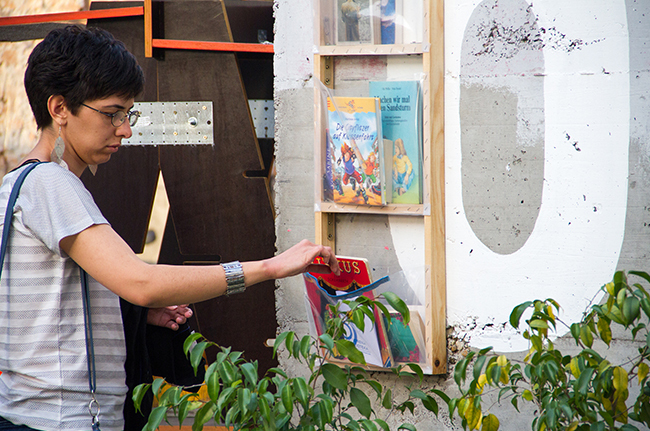 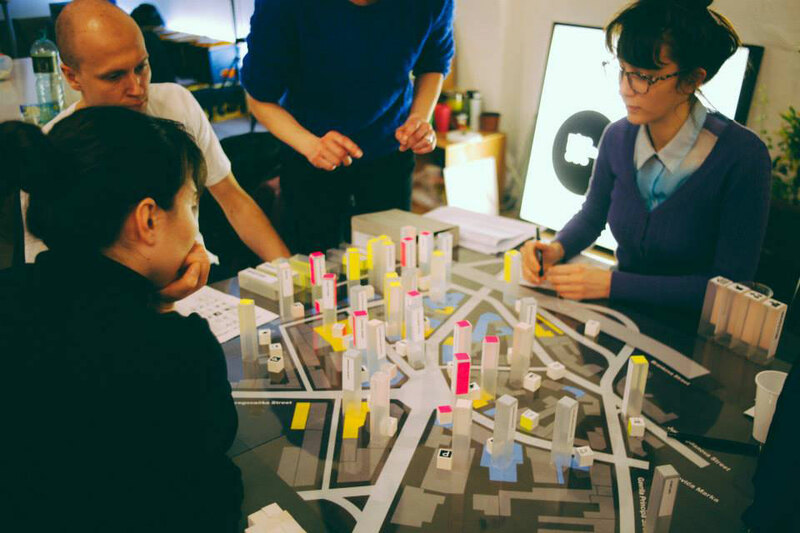 Module PULS deals with the city and the right to the city re-questioned through temporary art interventions, performances and audio-visual installations set up in public and alternative gallery spaces, with the aim of finding and sharing new urban experiences and practices. 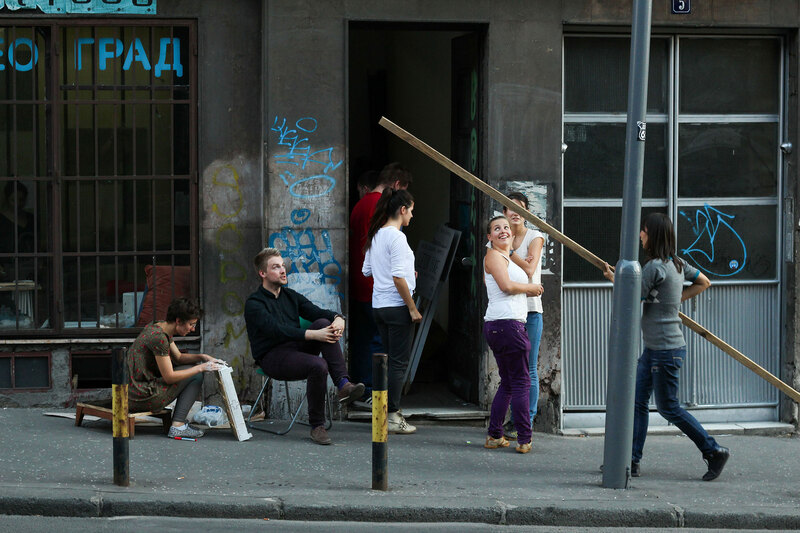 Notable performances included the interactive Hit the Hermes performance which aimed at turning attention to the current state of museums in Belgrade and the audio-visual installation PULS of Savamala which investigated various audial, spatial and visual facets of this urban neighborhood. 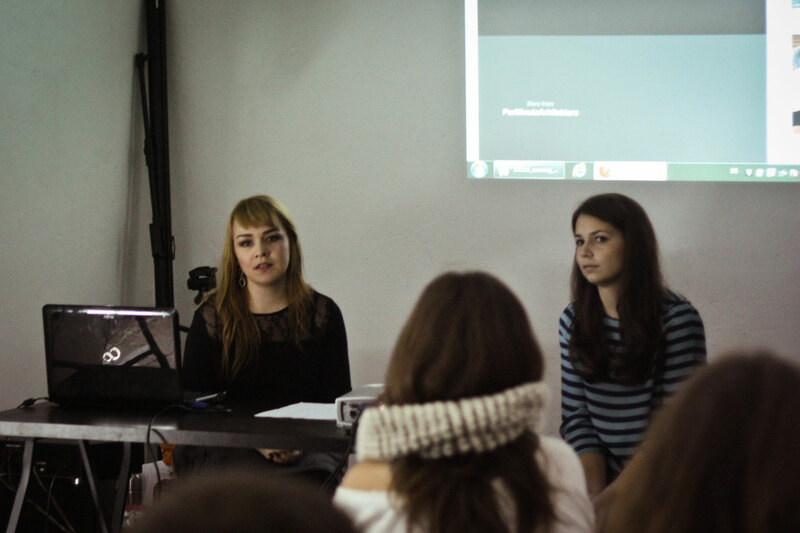 The module PULS also puts emphasis on informal education regarding new media and modern audio-visual technology. 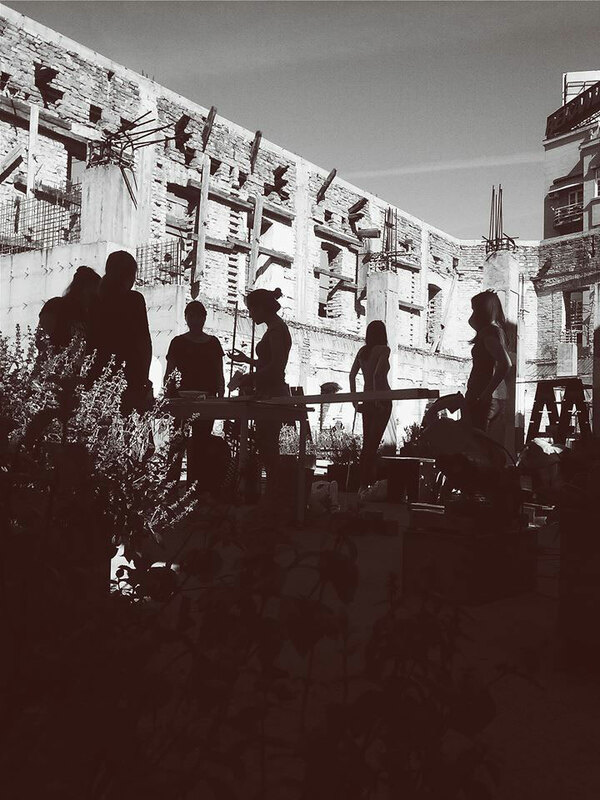 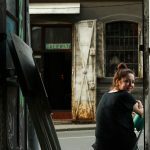 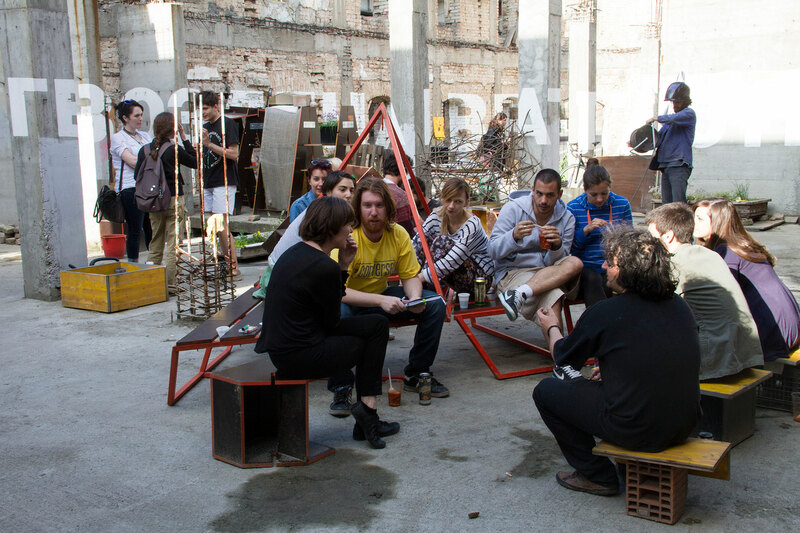 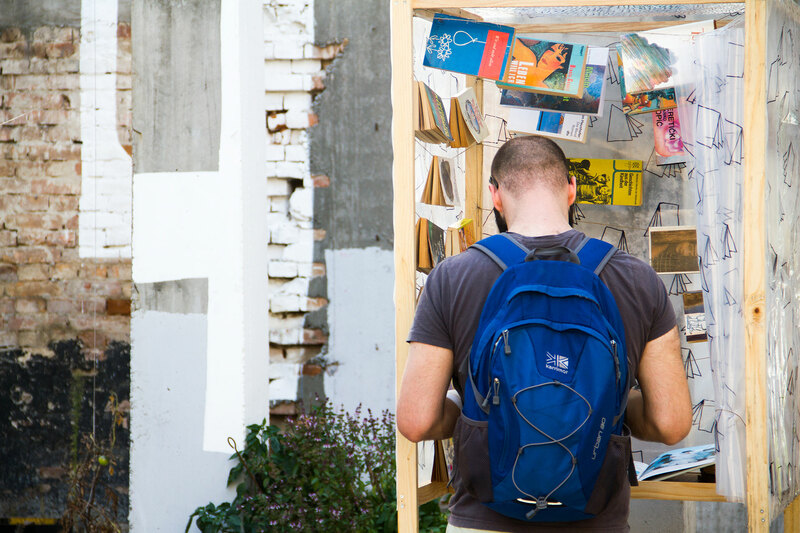 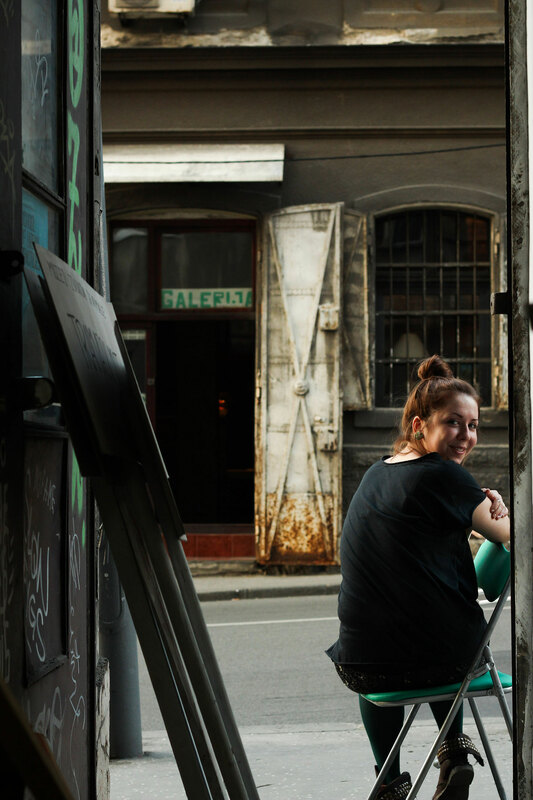 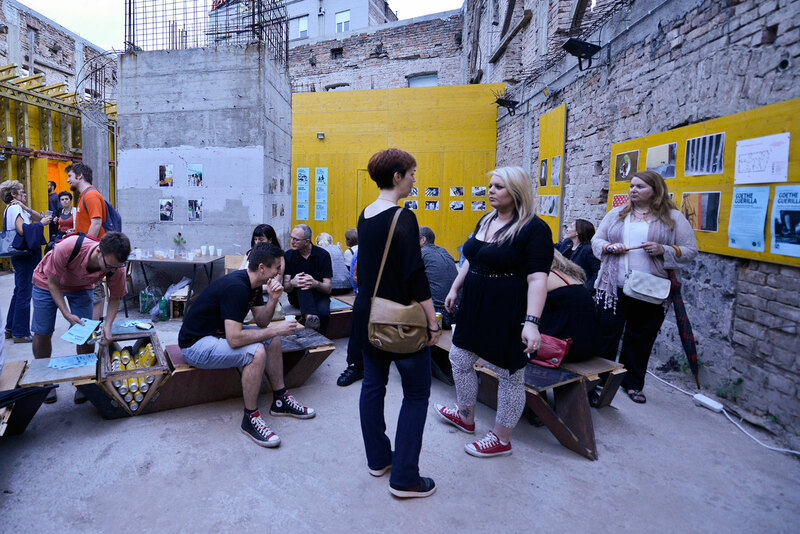 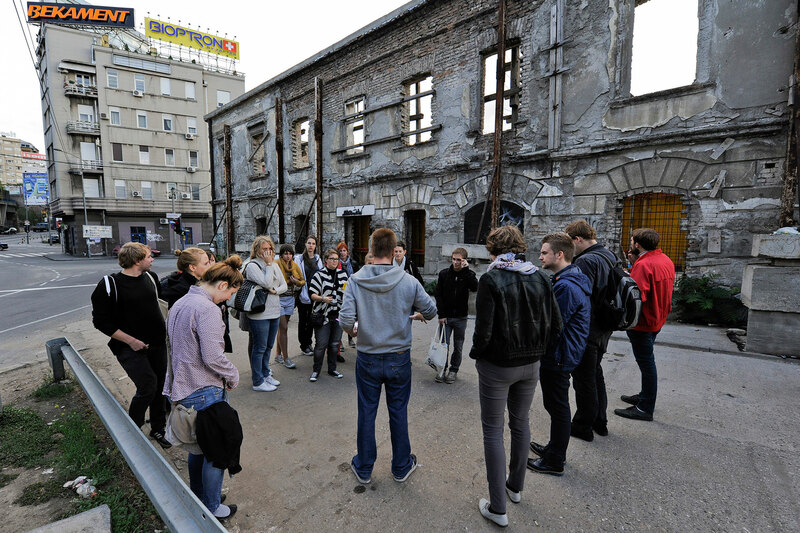 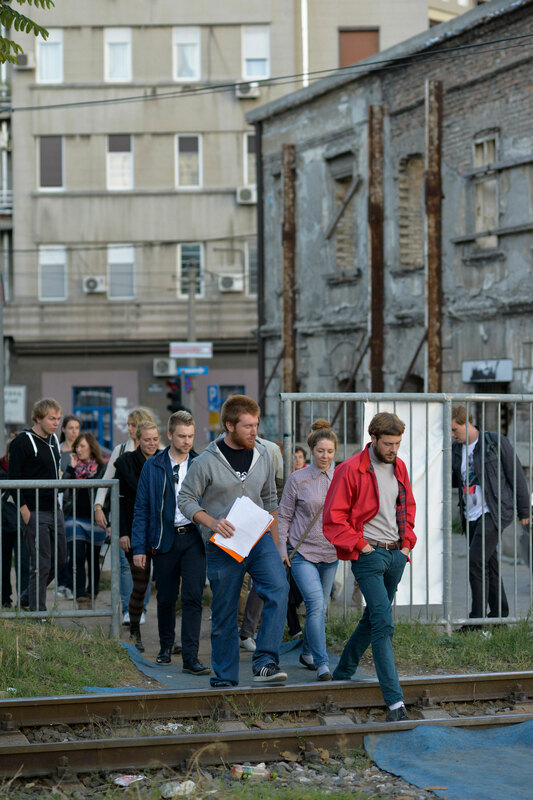 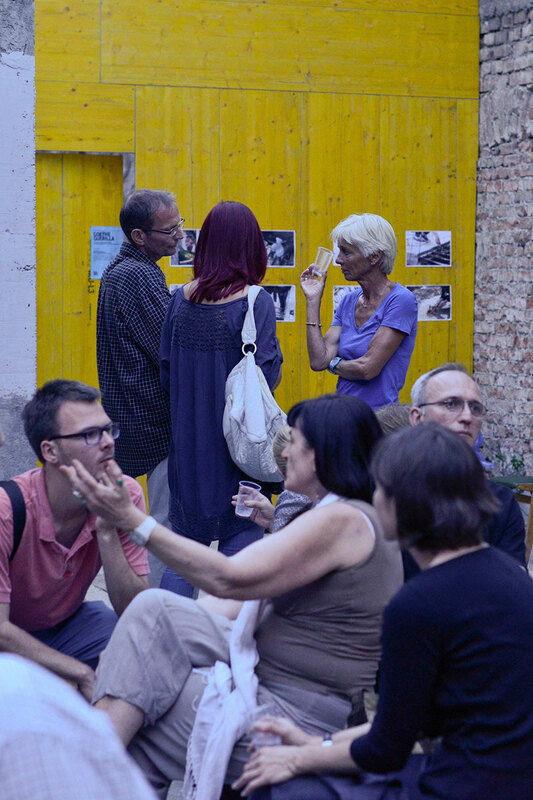 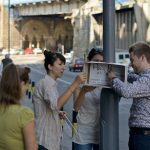 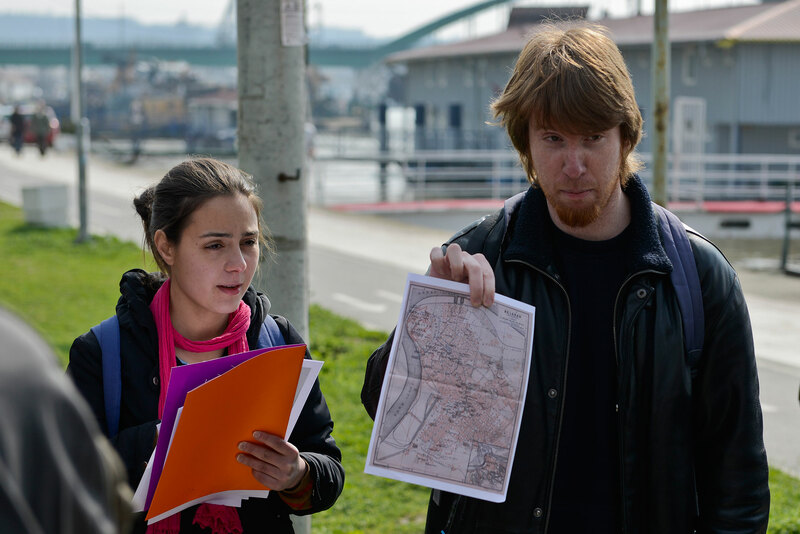 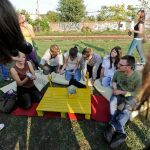 Module Savamala Walks deals with alternative guides through Savamala and Belgrade, aiming at rediscovering the city and seeing it in a new light, with the goal of drawing attention of the general public to the issues, significance and potential of this urban Belgrade neighborhood. 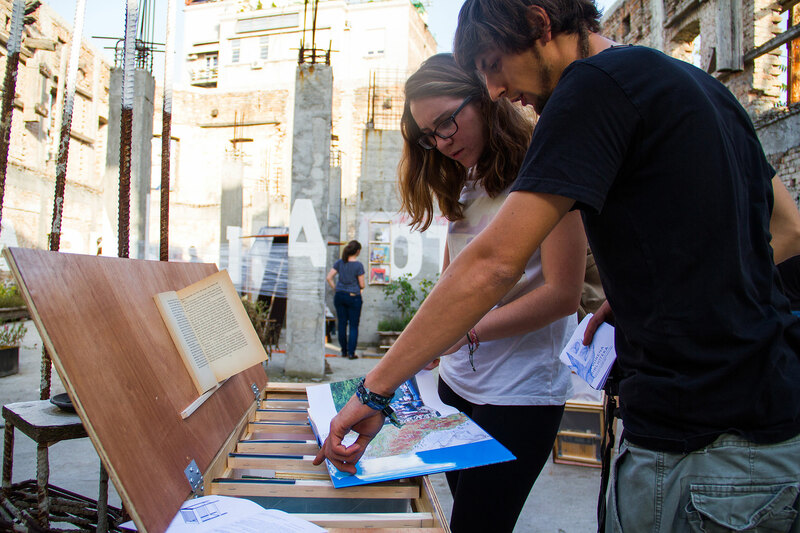 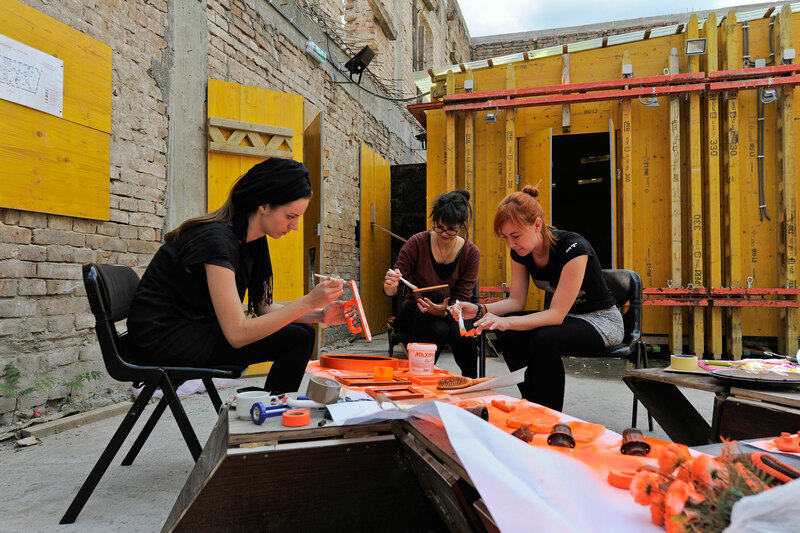 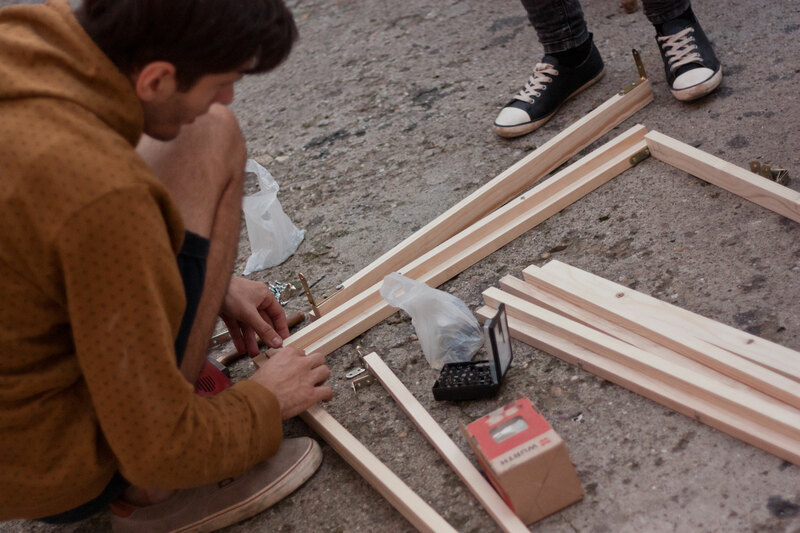 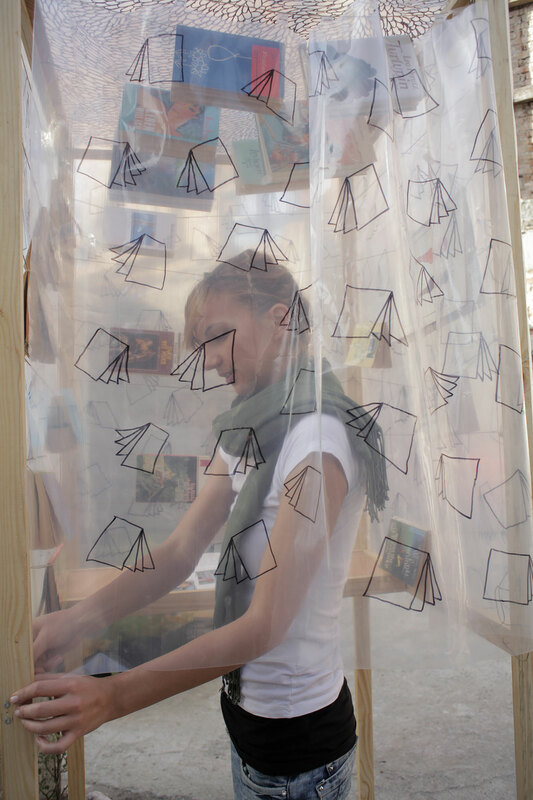 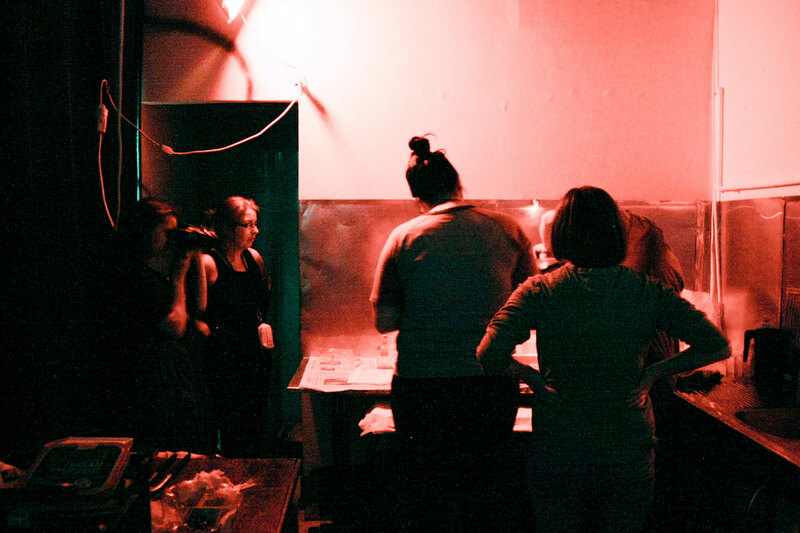 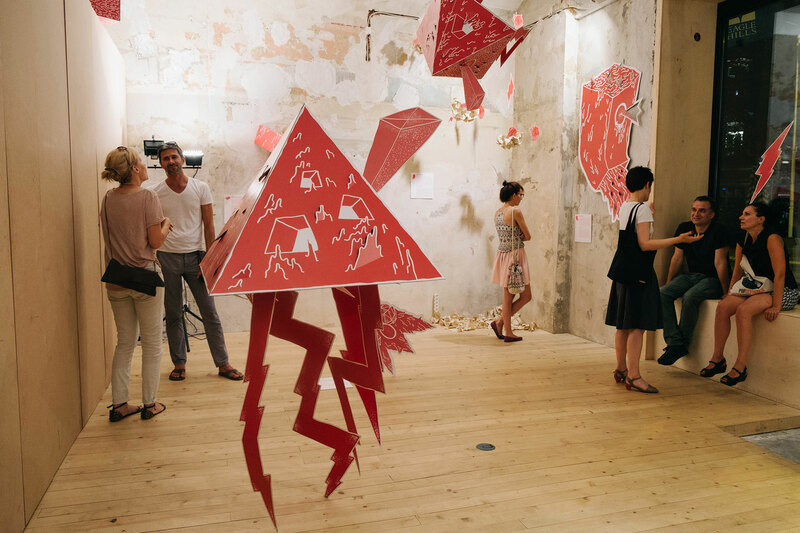 The main subproject of this module is called Savamala Imaginarium and it concerns percieving Savamala through the prism of imagination, or in other words, “re-inventing” the existing Savamala using various artistic means such as stories, interactive postcards, installations etc. 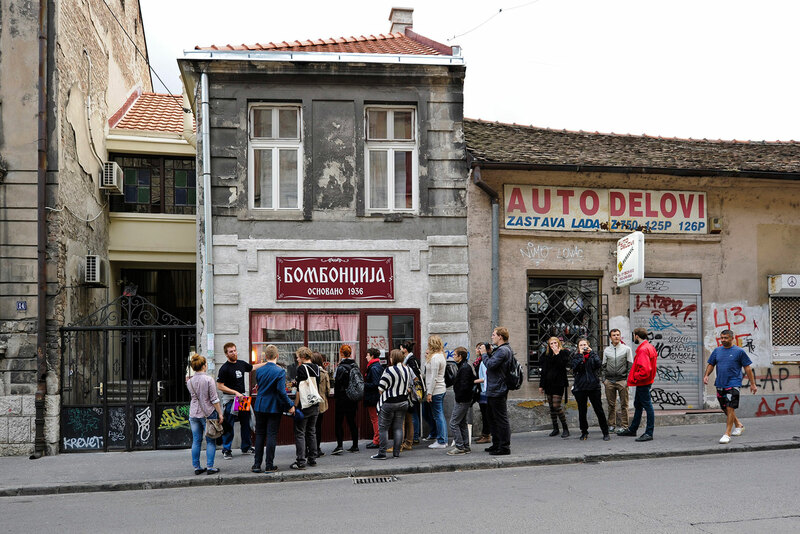 The module had one notable exhibition called Savamala monsters, which regarded different imaginary creatures living in this neighborhood. 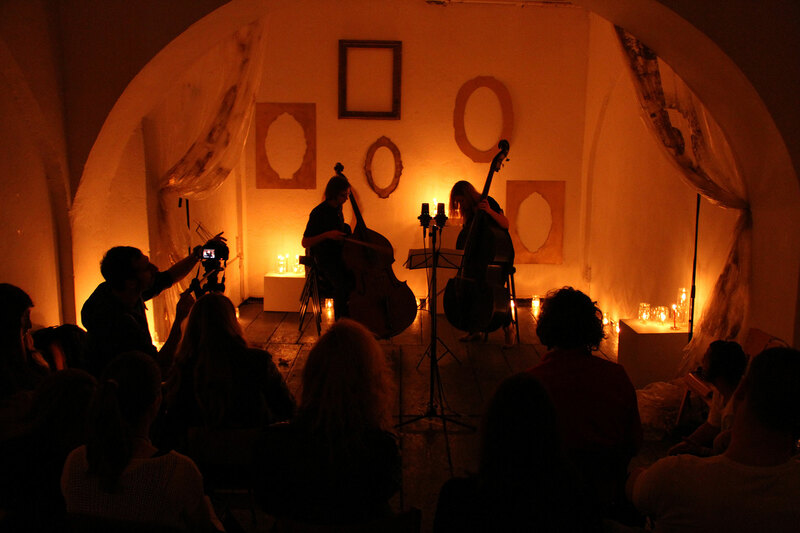 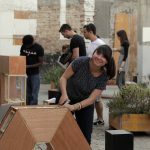 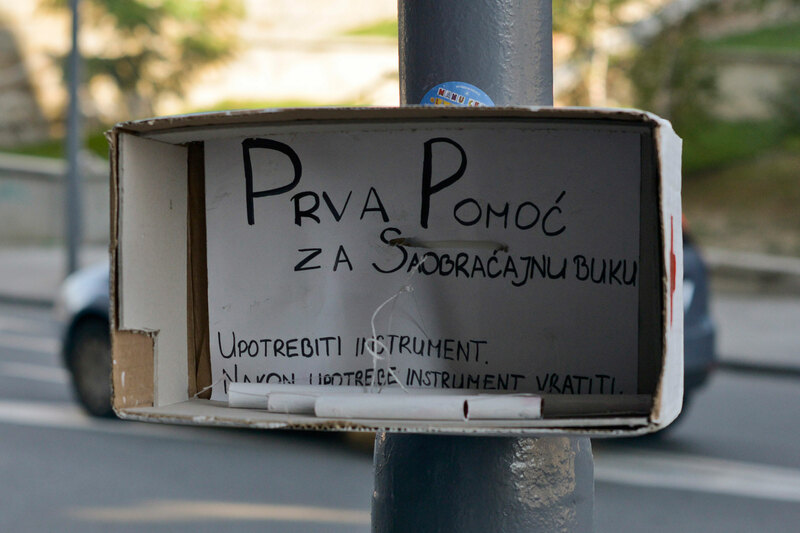 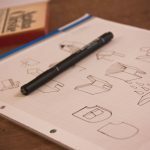 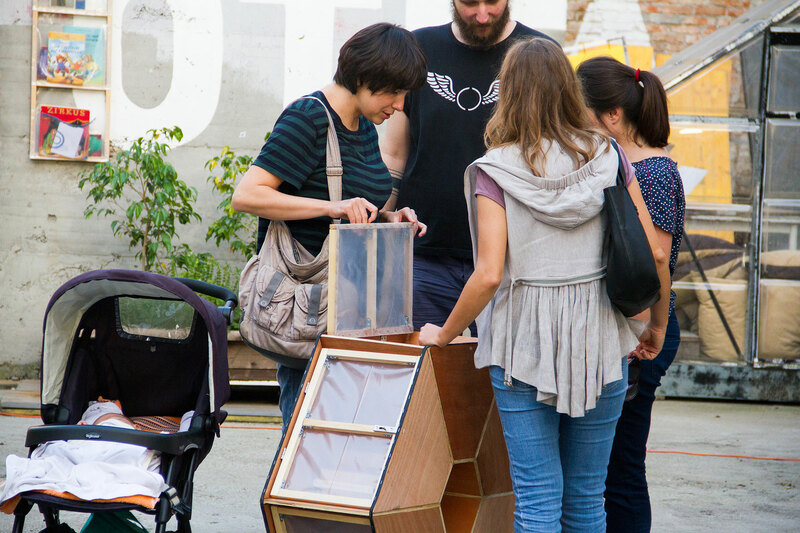 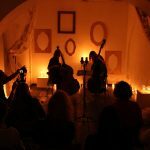 Module Shhhumigrad represents a creative music workshop for which neither musical knowledge nor experience is needed, and where participants prepare to perform music solely with objects found on spot (parts of the facade, furniture, etc.). 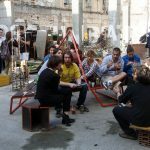 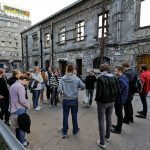 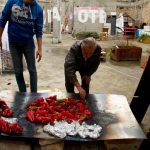 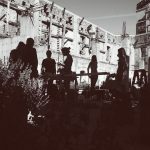 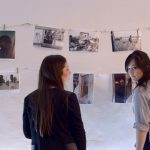 Shhhumigrad is a project aimed at presenting creative potentials of abandoned places and bringing out positive results developed in cooperation between people who do not know each other. 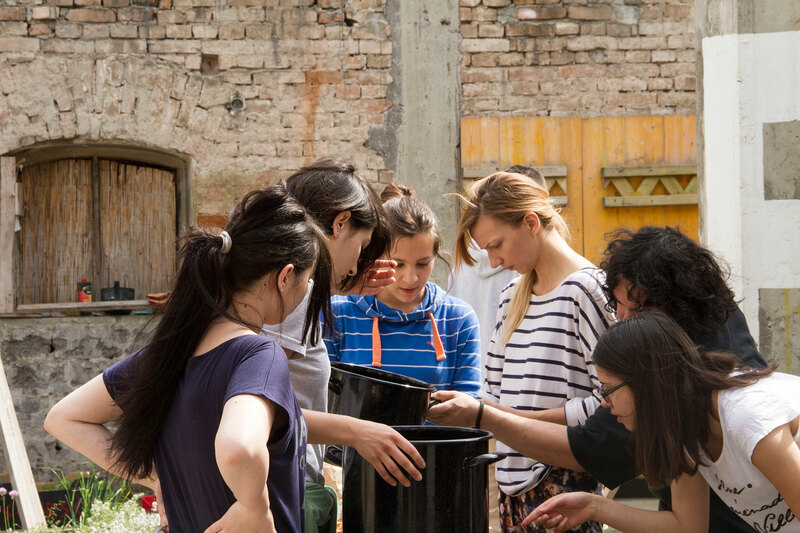 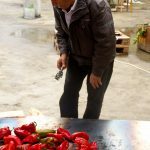 In addition, the project aims to achieve a deeper and more personal connection between participants and the environment which we live in, and to demonstrate the importance of individuals in achieving higher goals.